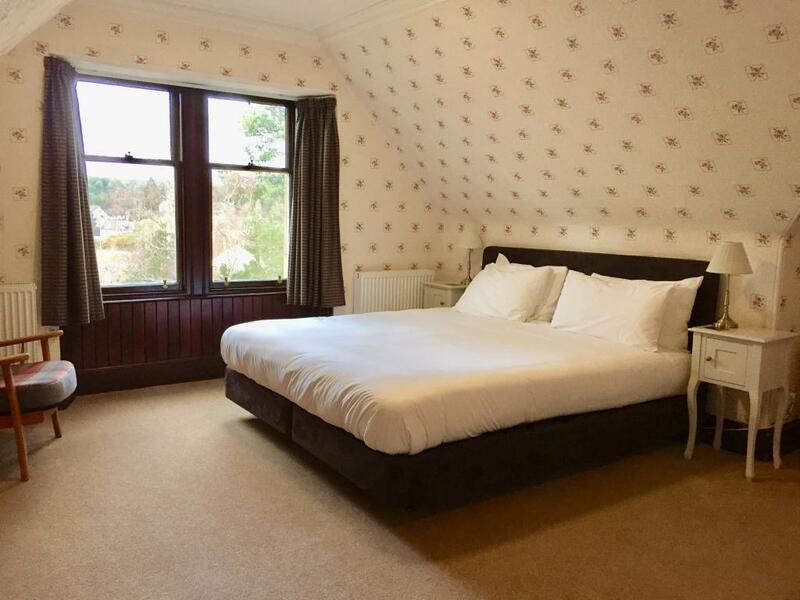 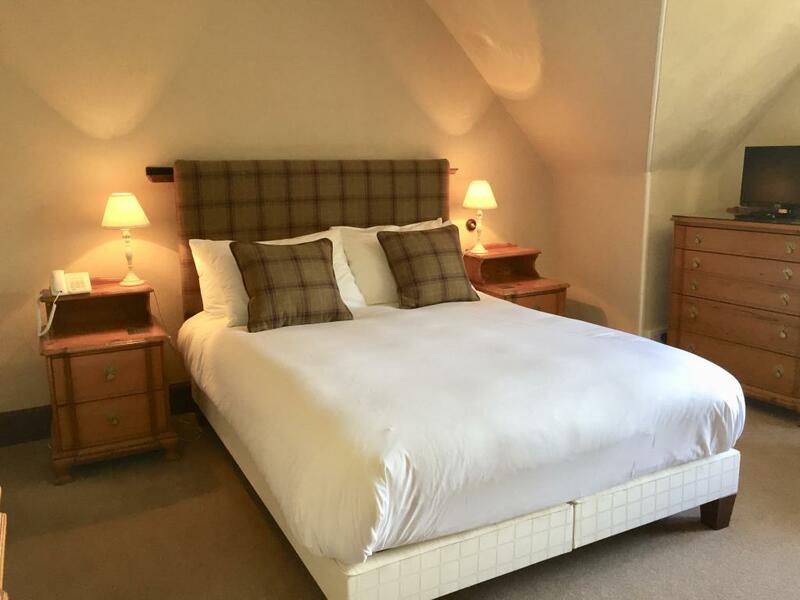 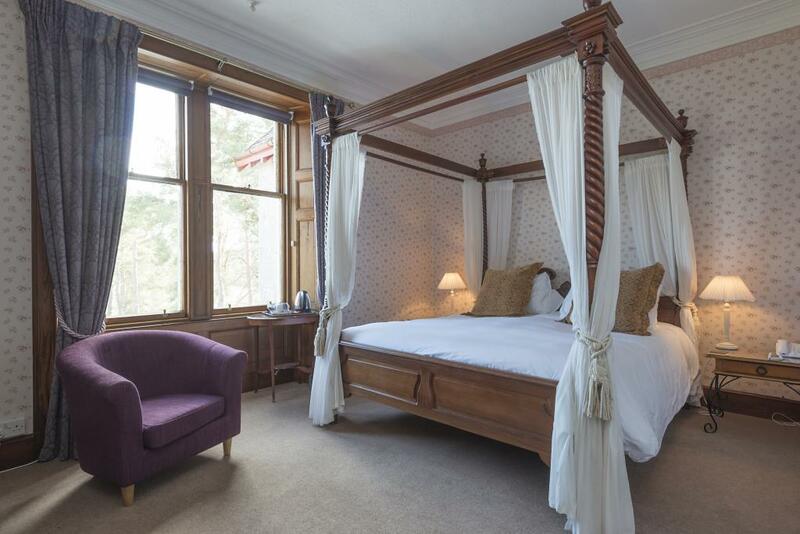 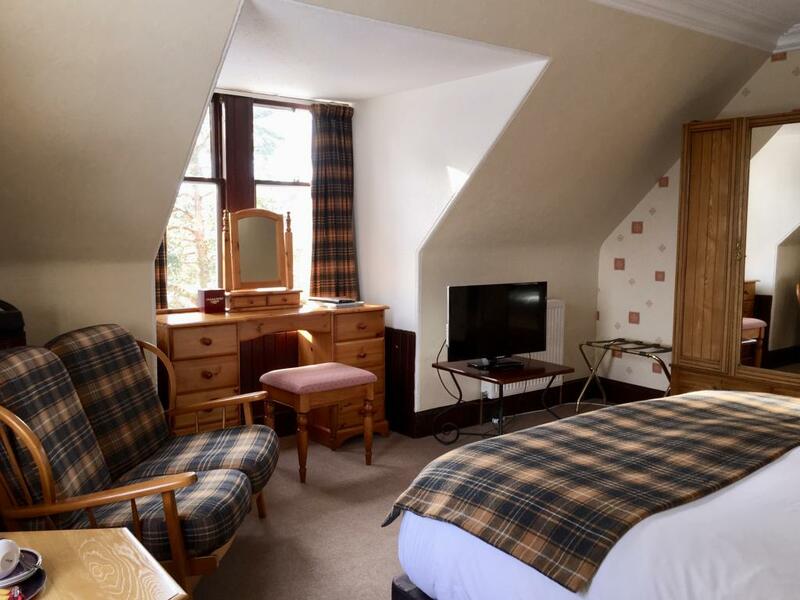 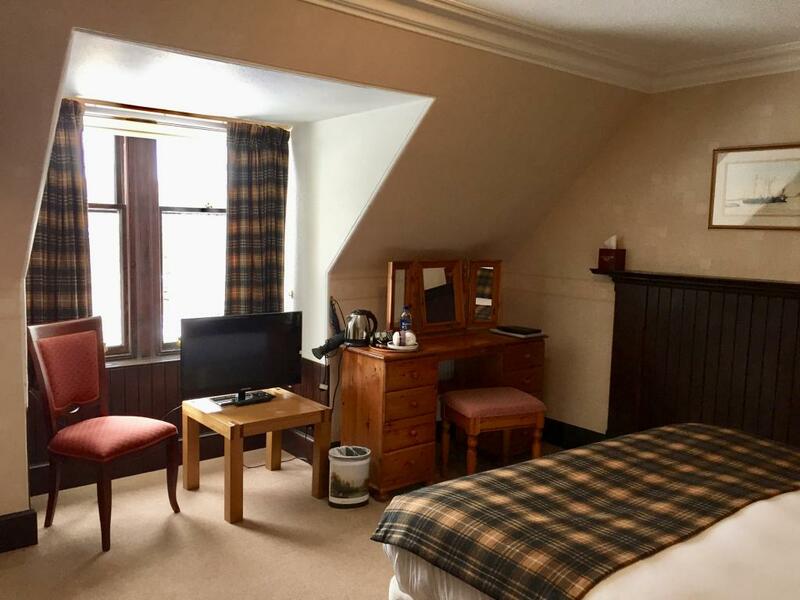 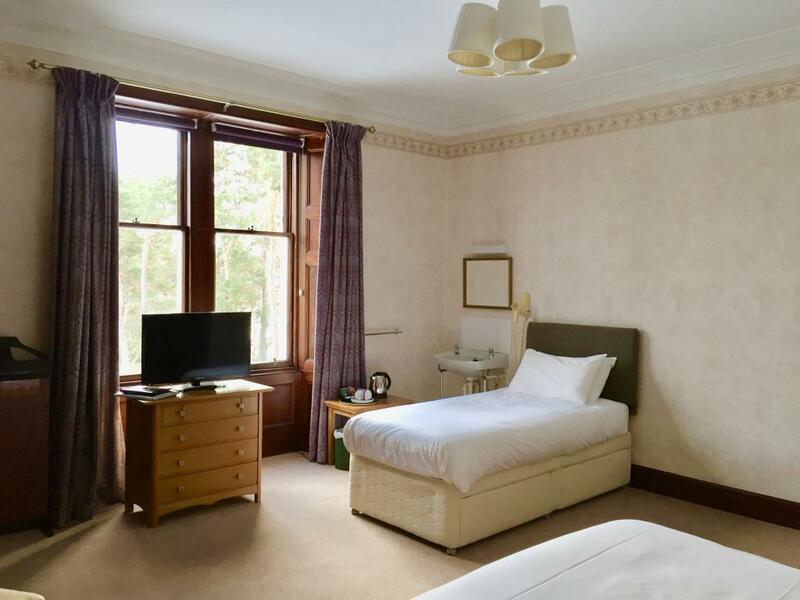 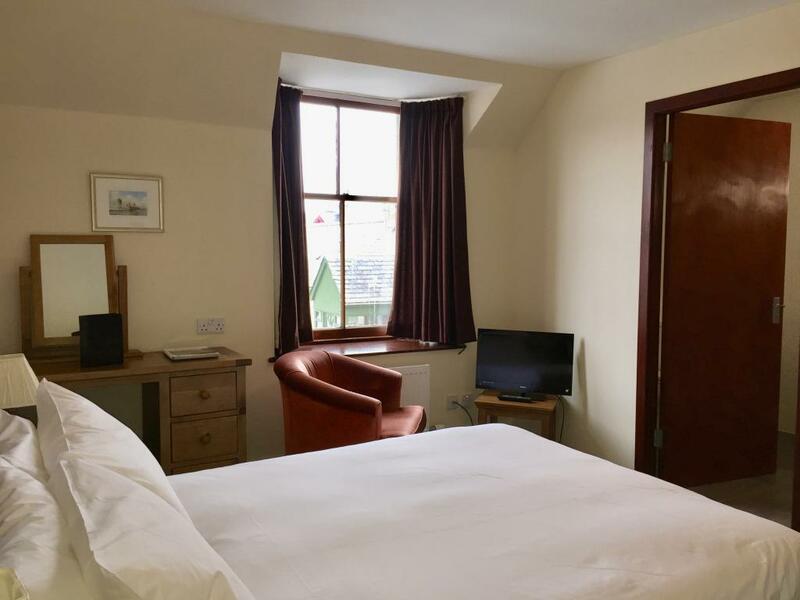 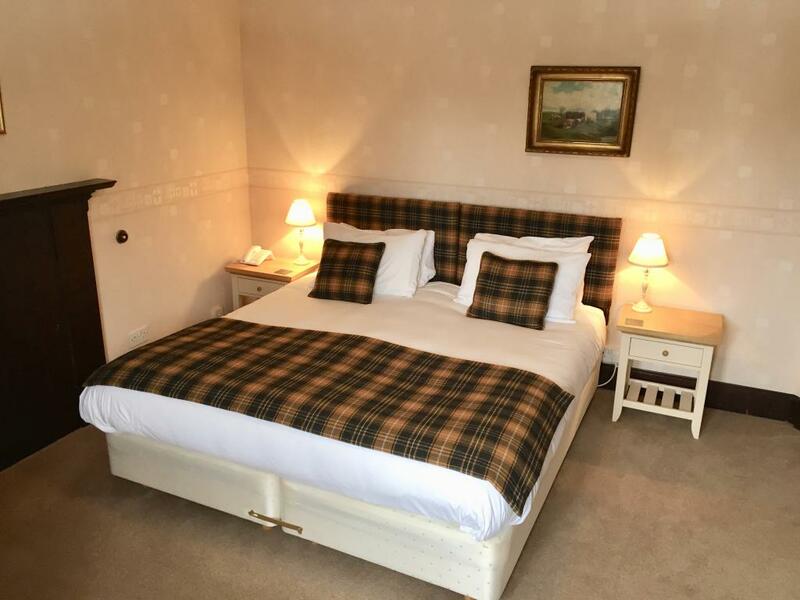 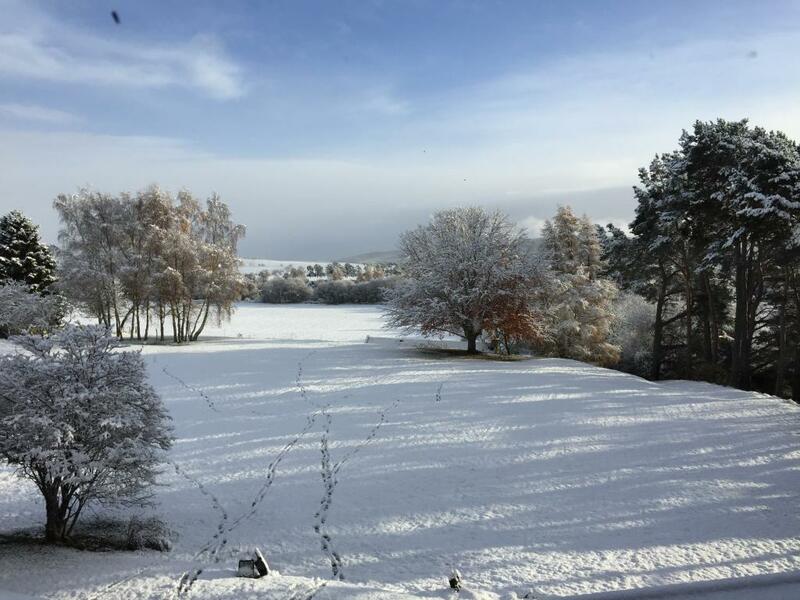 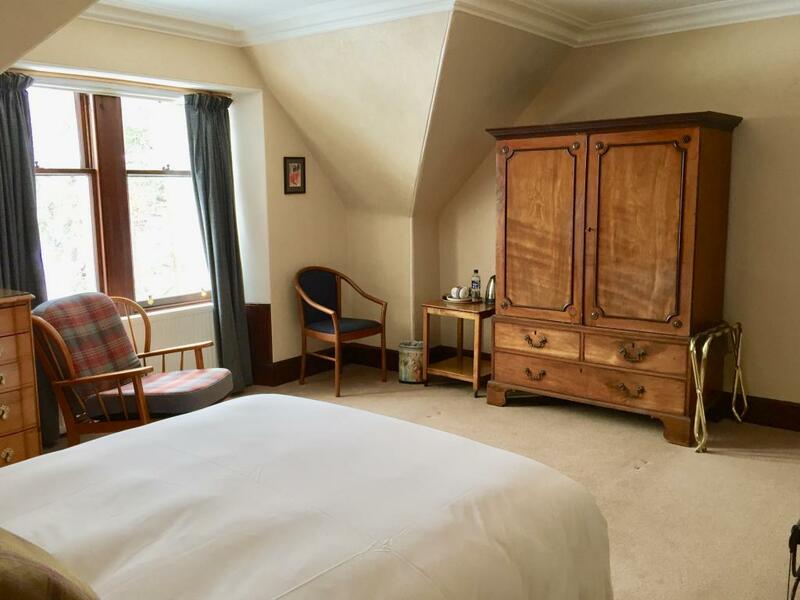 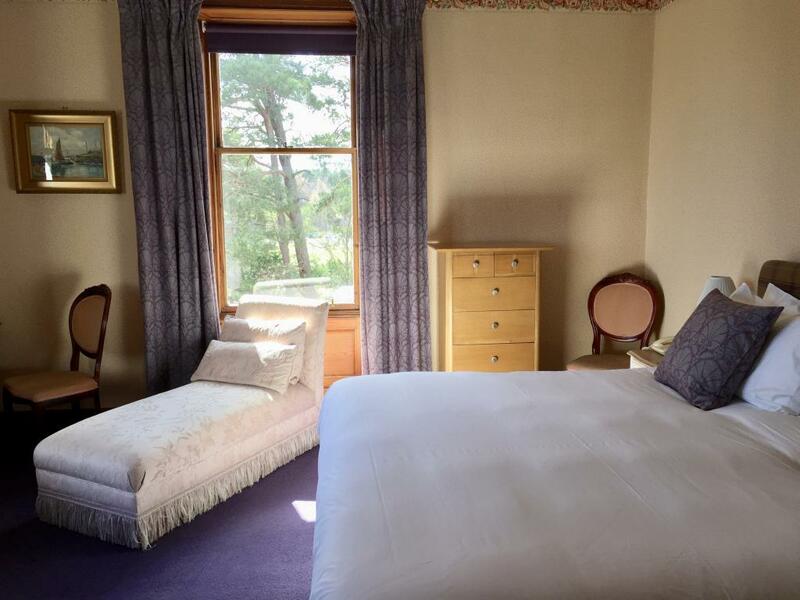 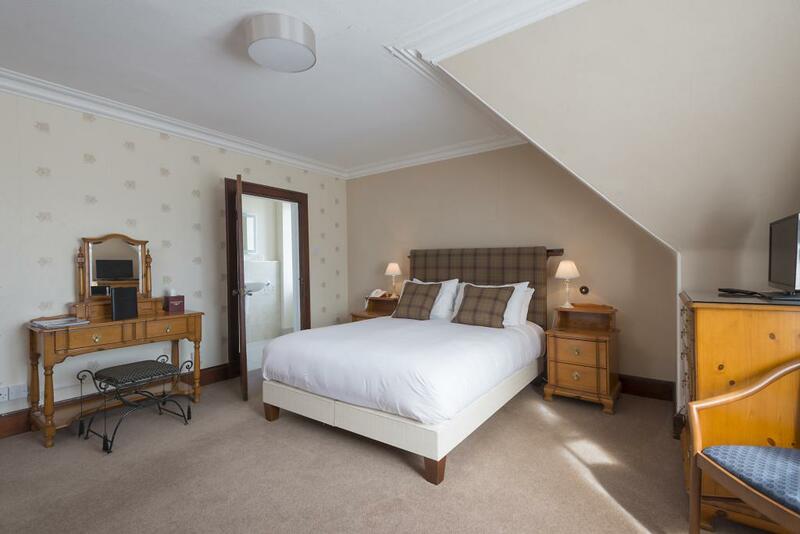 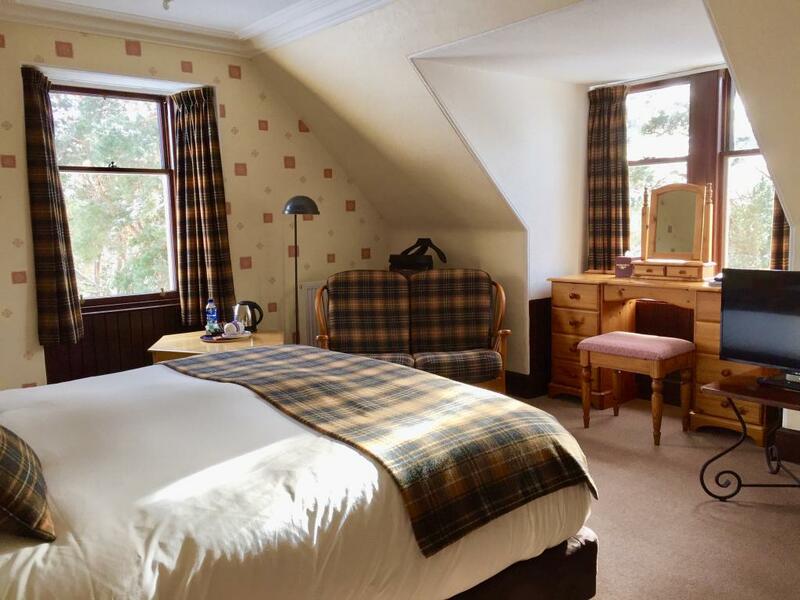 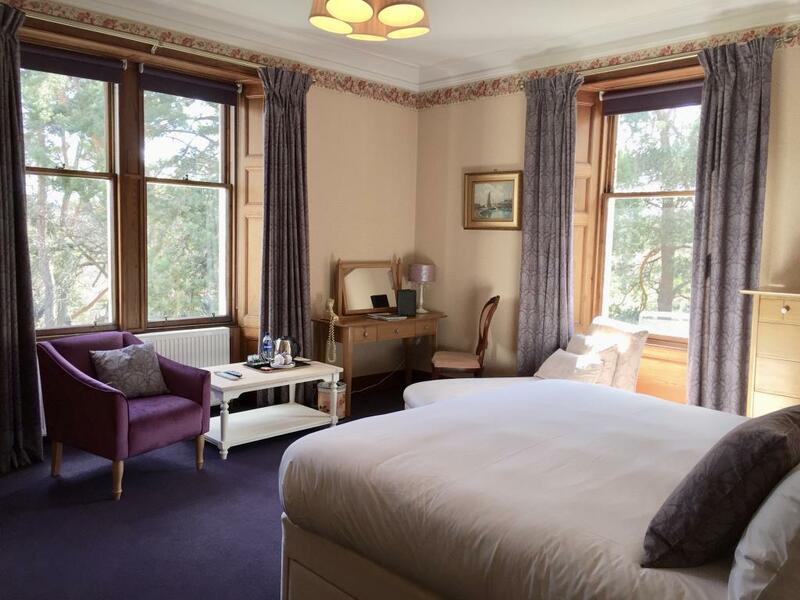 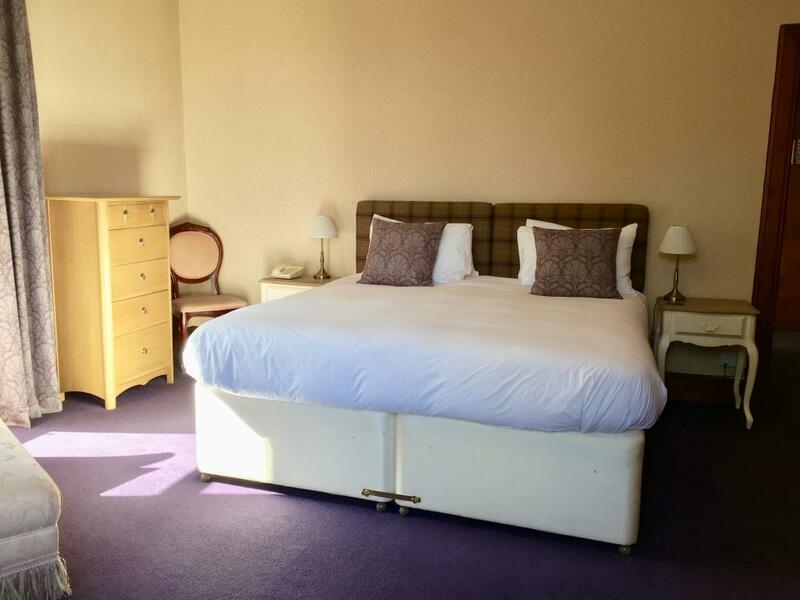 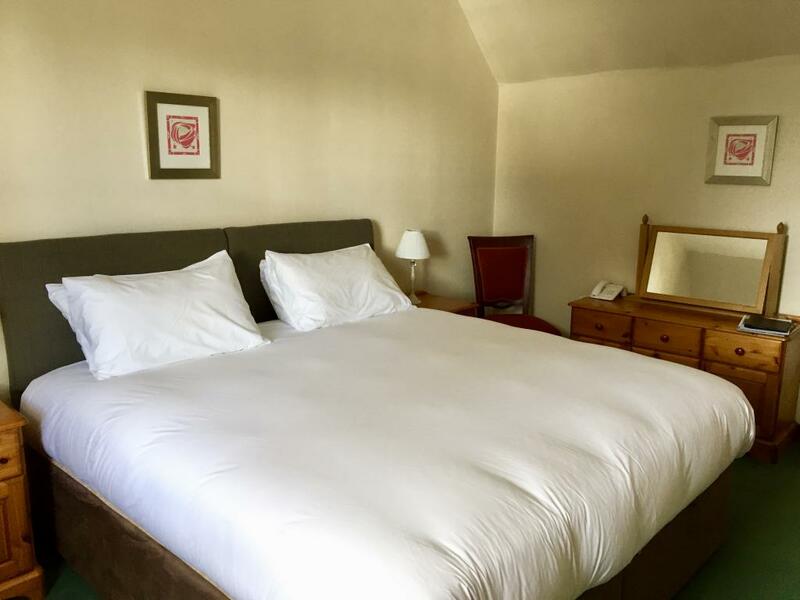 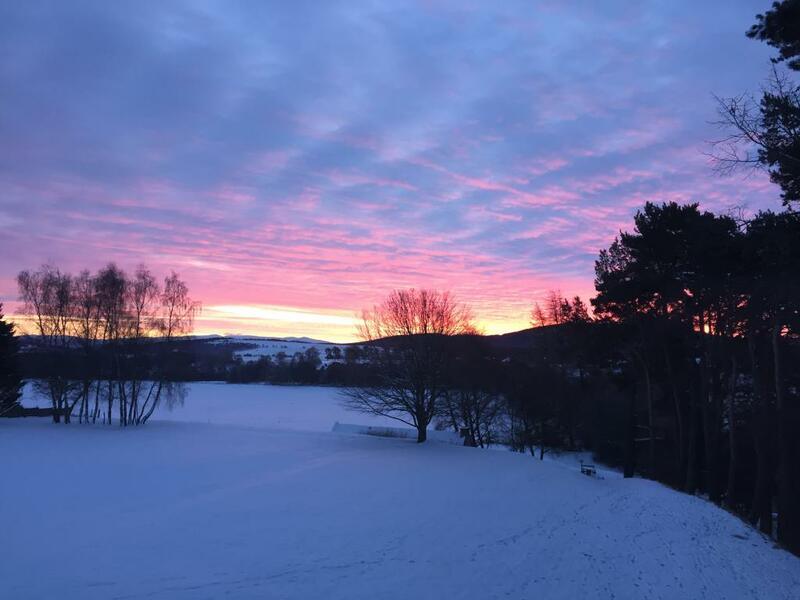 This is our most spacious Premiere room with wonderful views over the grounds to the mountains on one side and to the River Dulnain on the other. 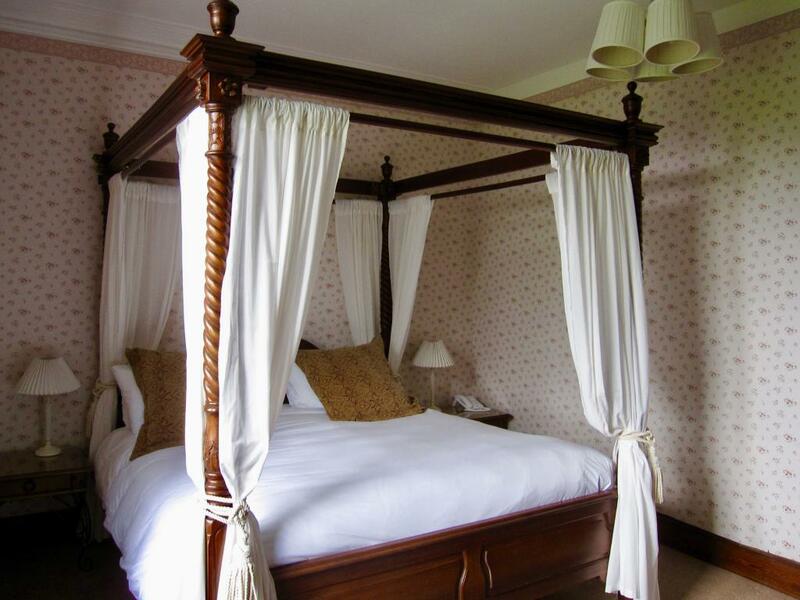 There is a hand made Savoir Aubrey 6ft Super King size bed. 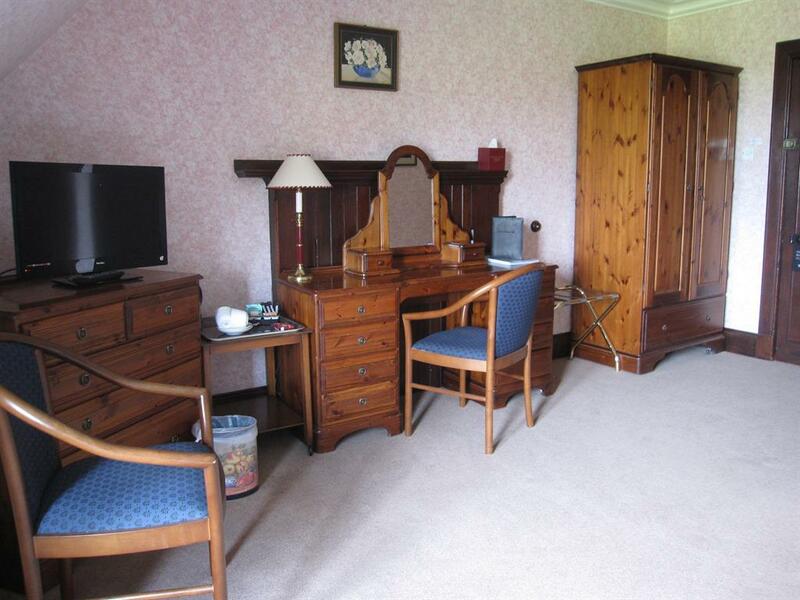 There is a sitting area, including a chaise longue. 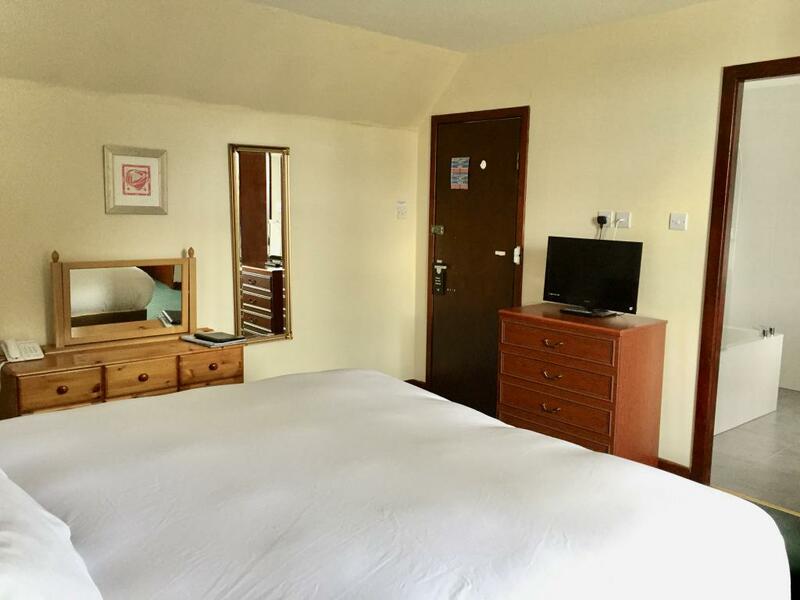 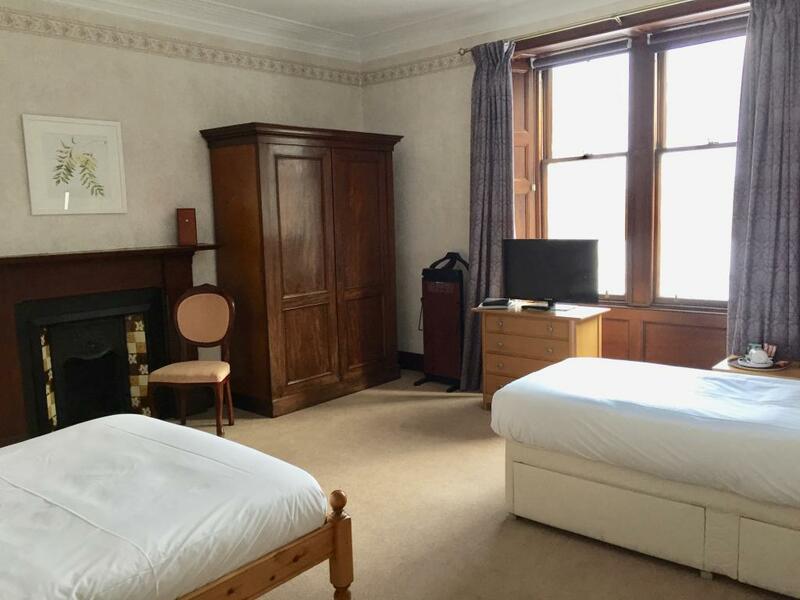 The room has a flat screen television, tea and coffee making facilities, hair dryer, trouser press and complimentary WiFi. 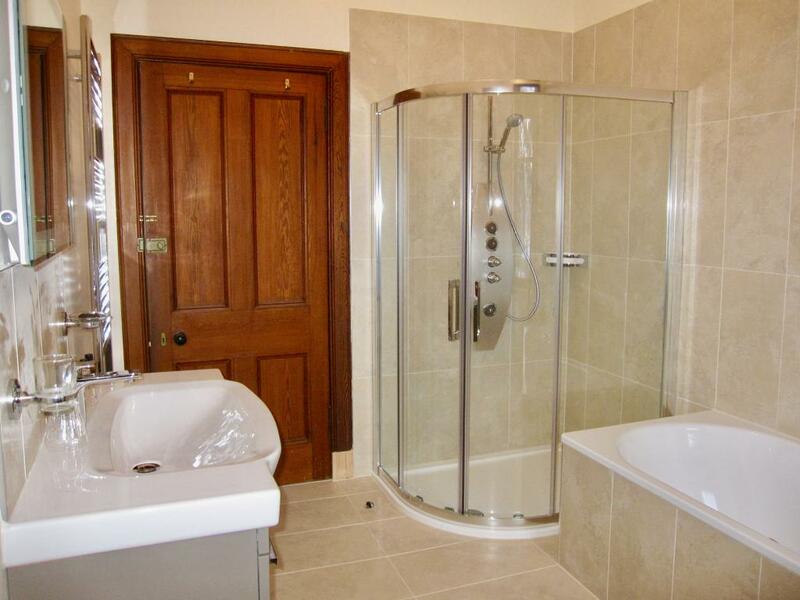 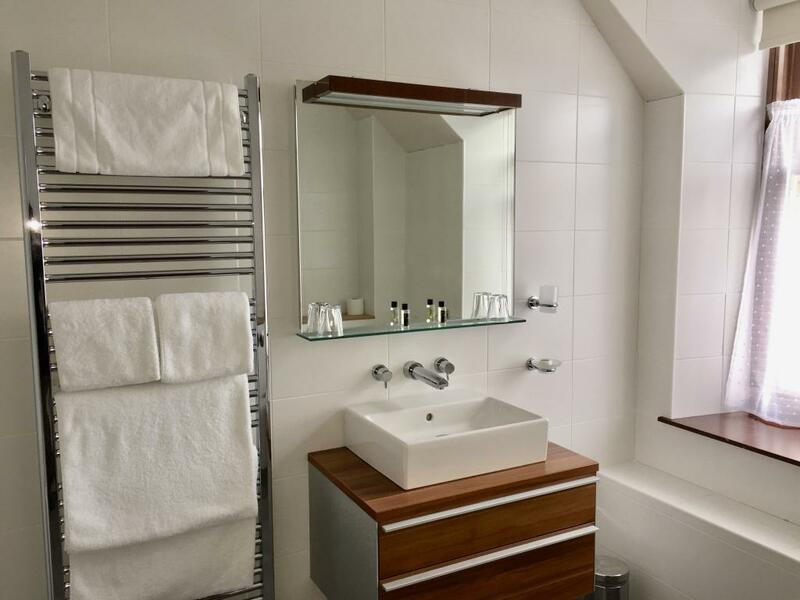 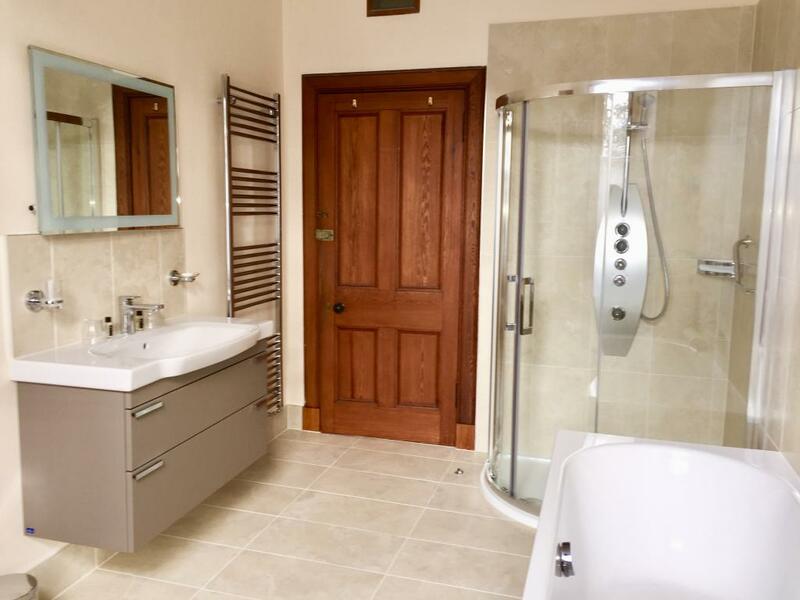 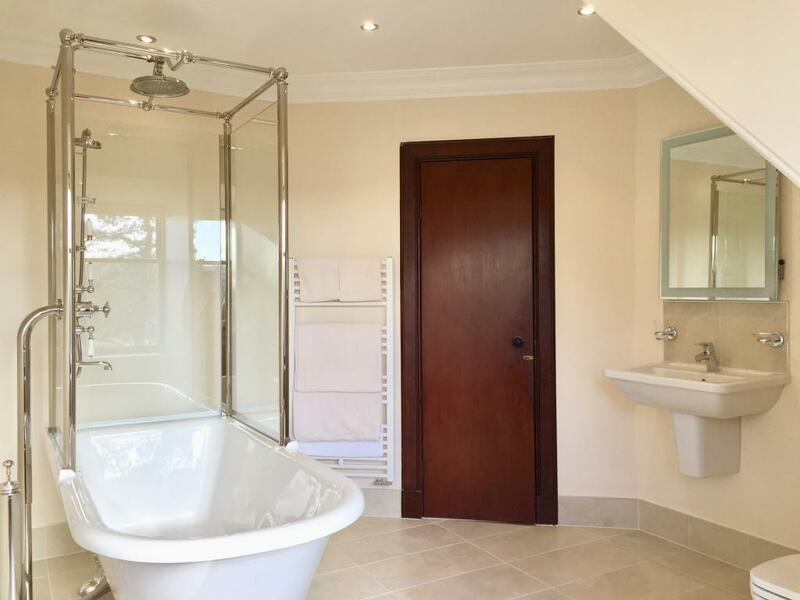 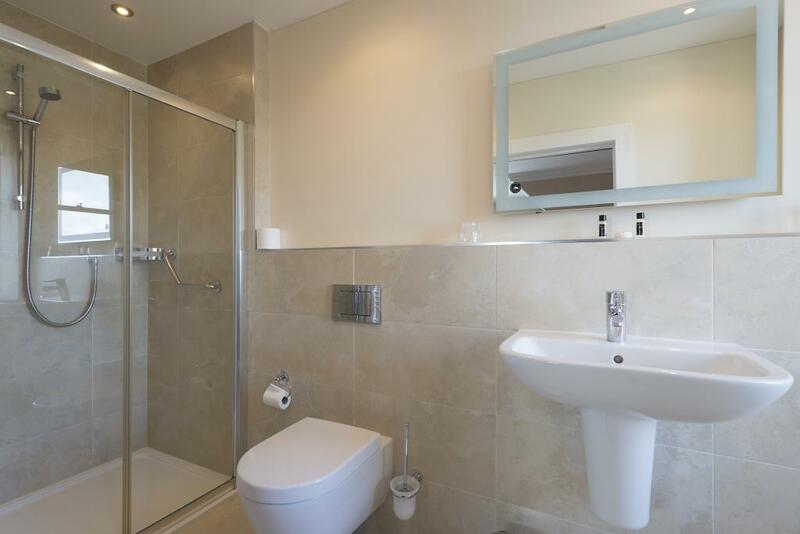 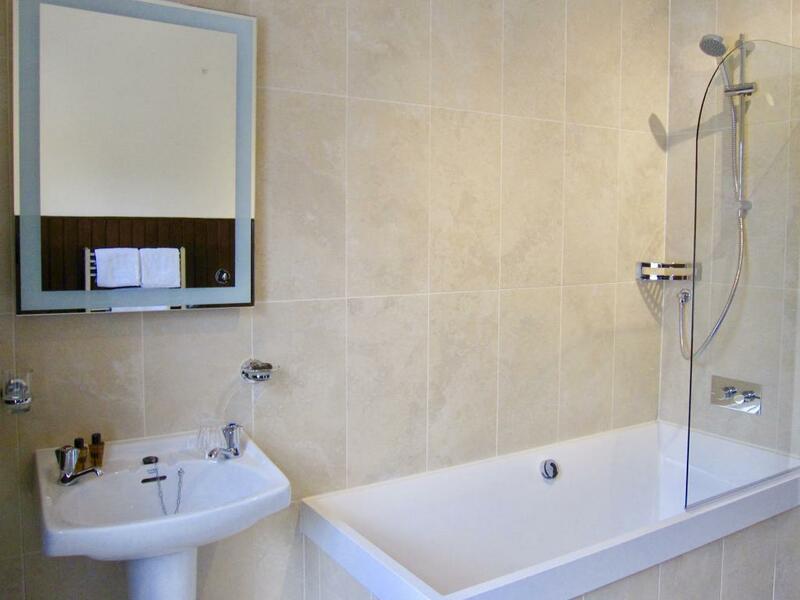 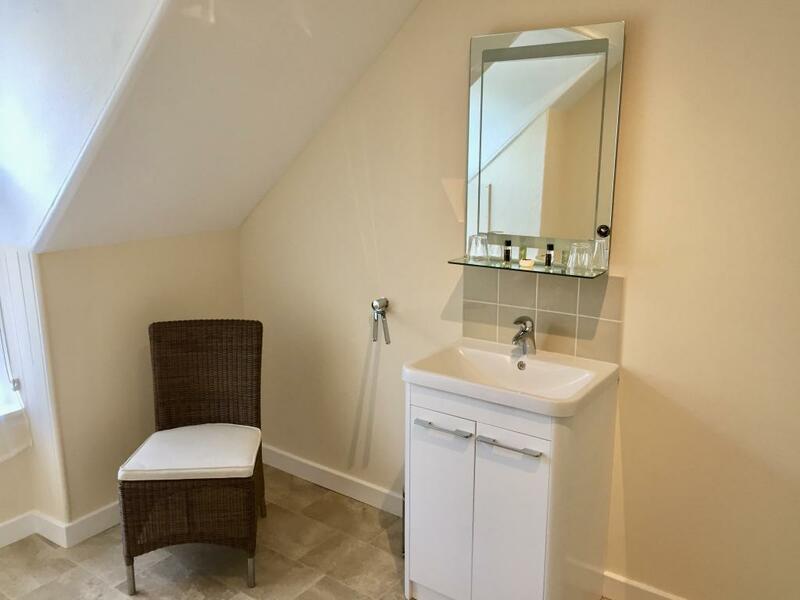 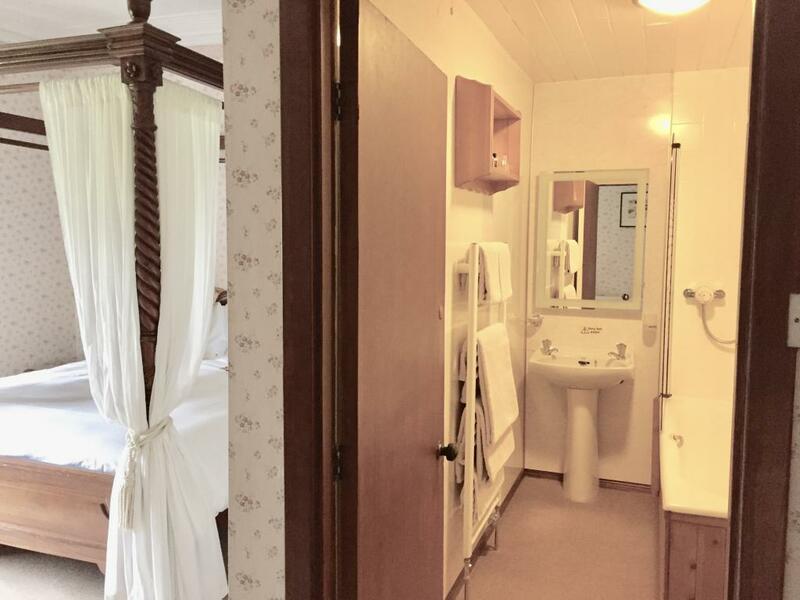 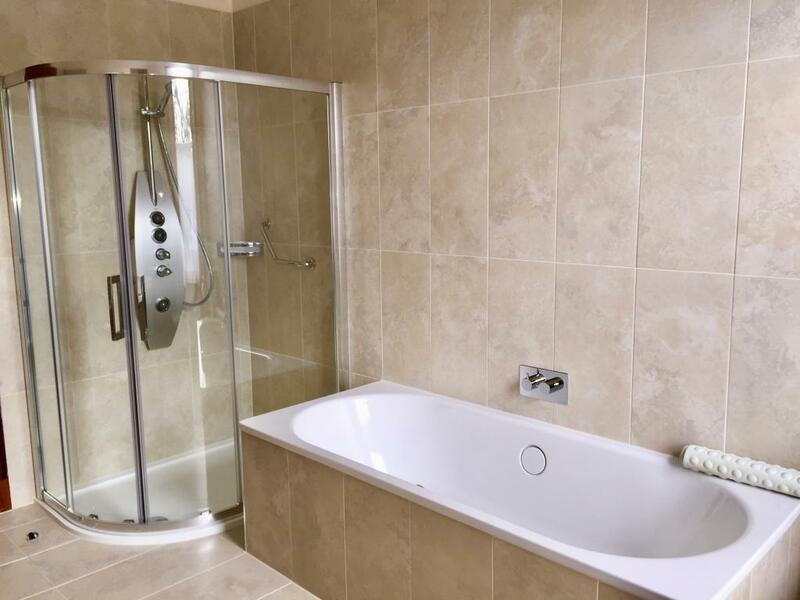 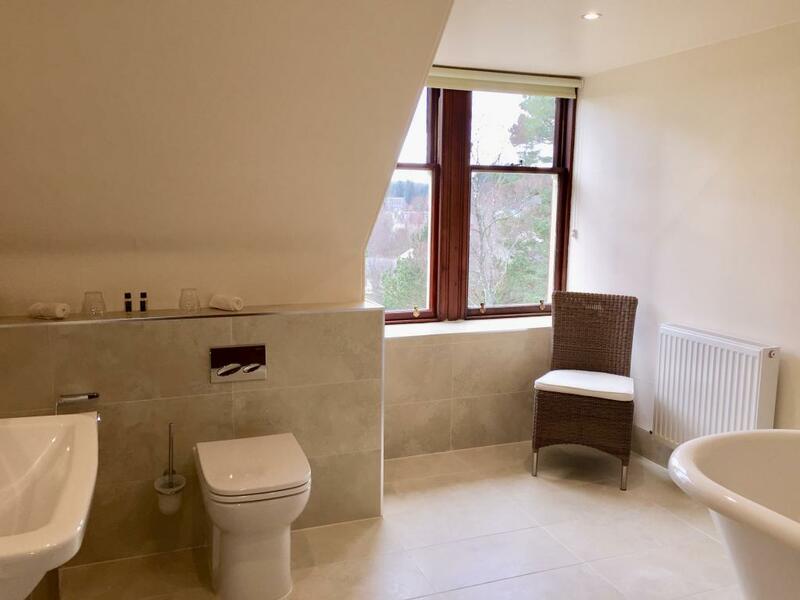 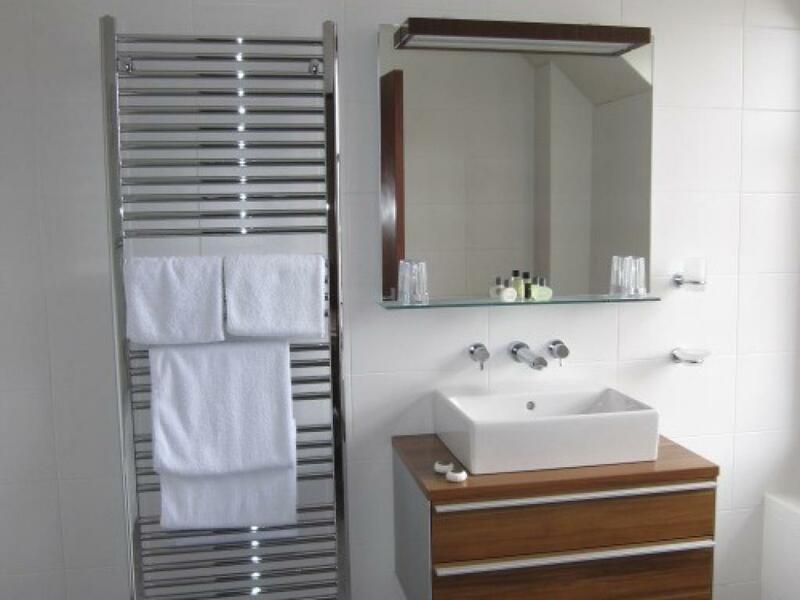 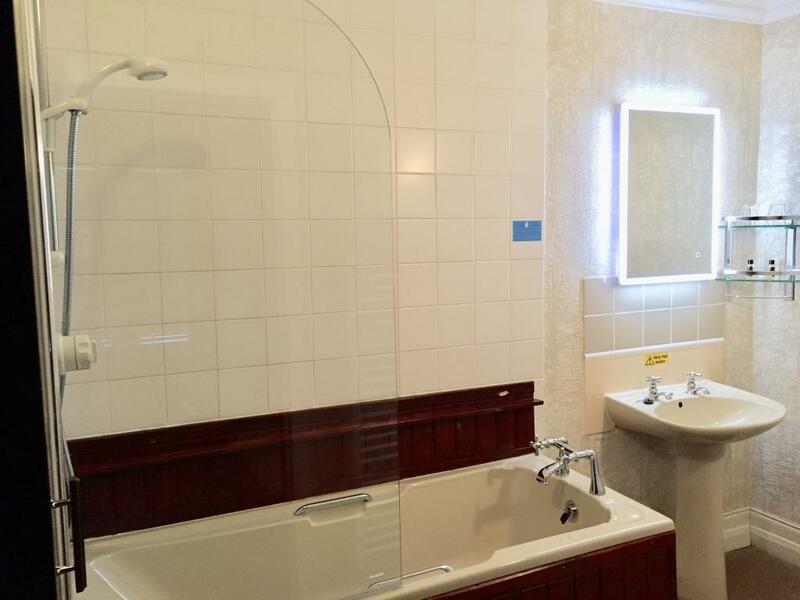 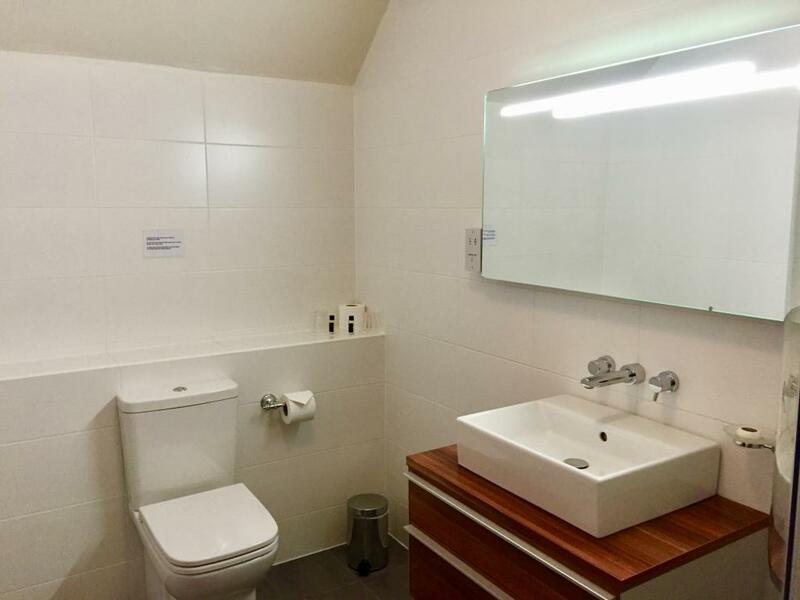 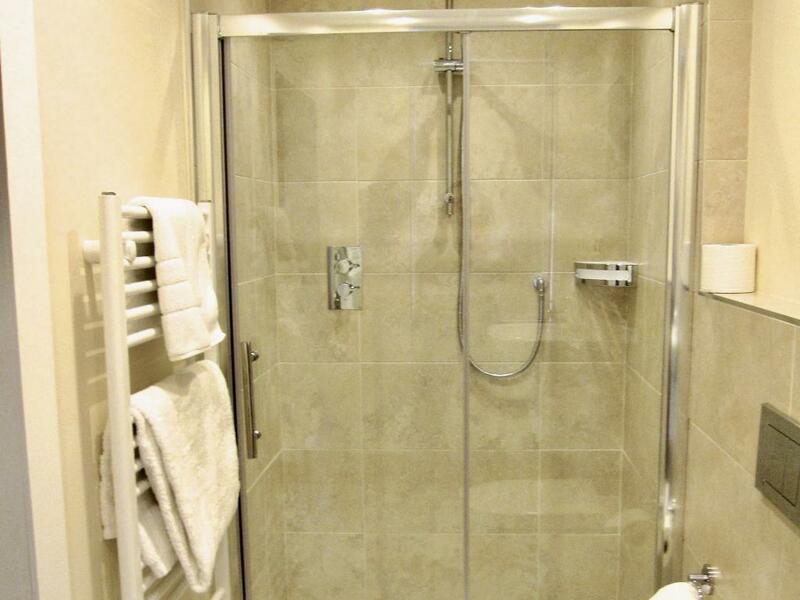 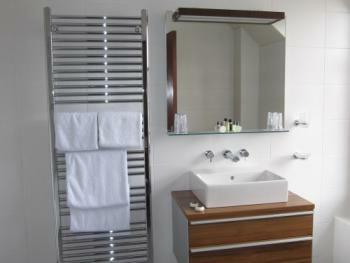 The large en-suite bathroom has a bath and also a separate shower cubicle, This room is on the first floor. 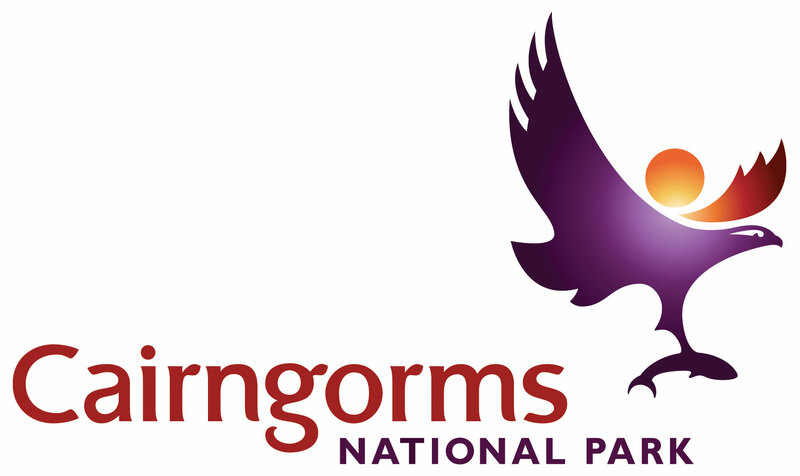 CALL DIRECT FOR BEST PRICES - 01479 841252 - Group rates if more than 3 rooms booked. 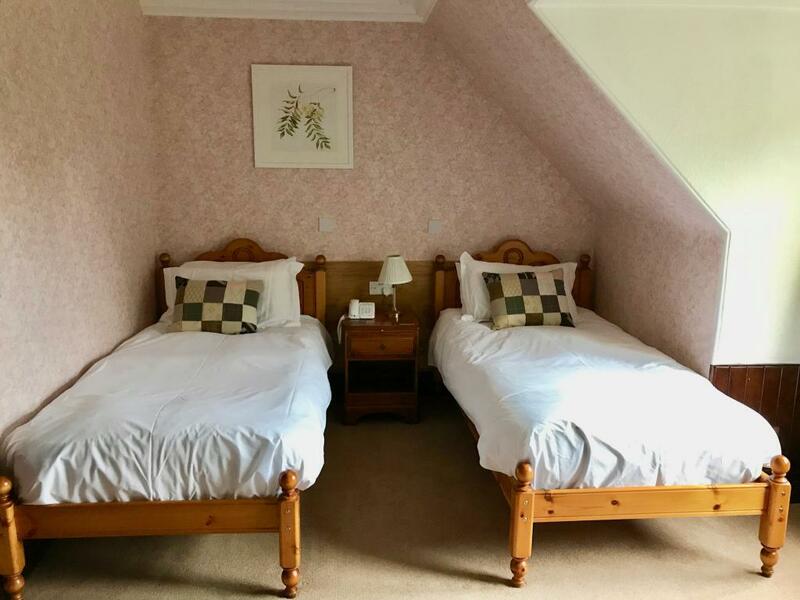 No children in this room. 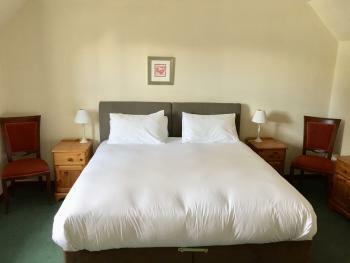 Dogs are not permitted in this room. 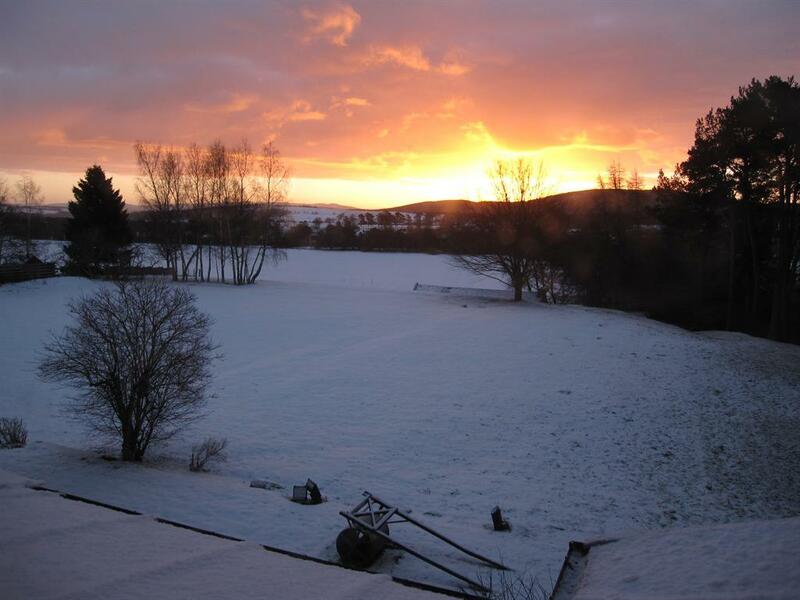 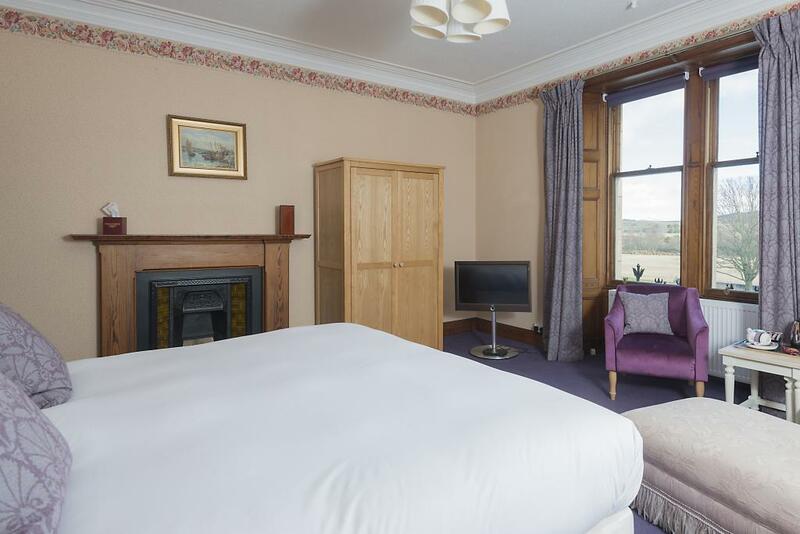 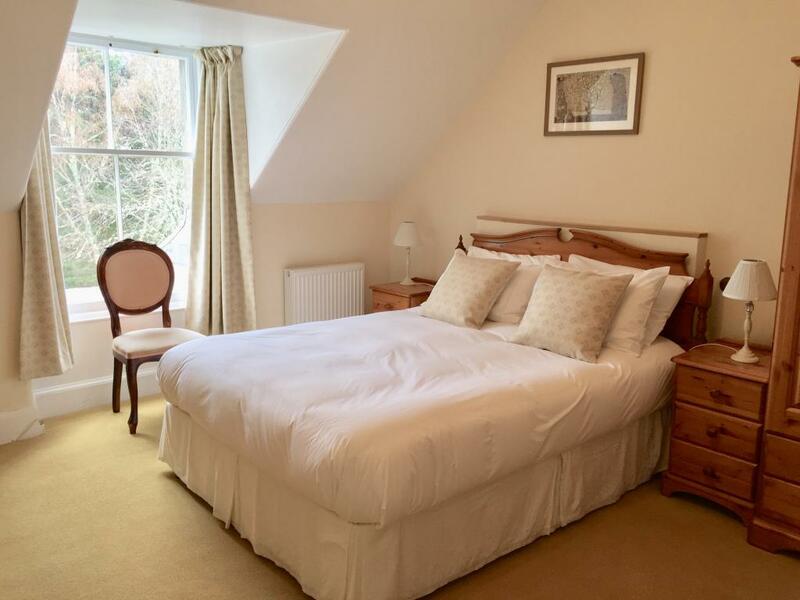 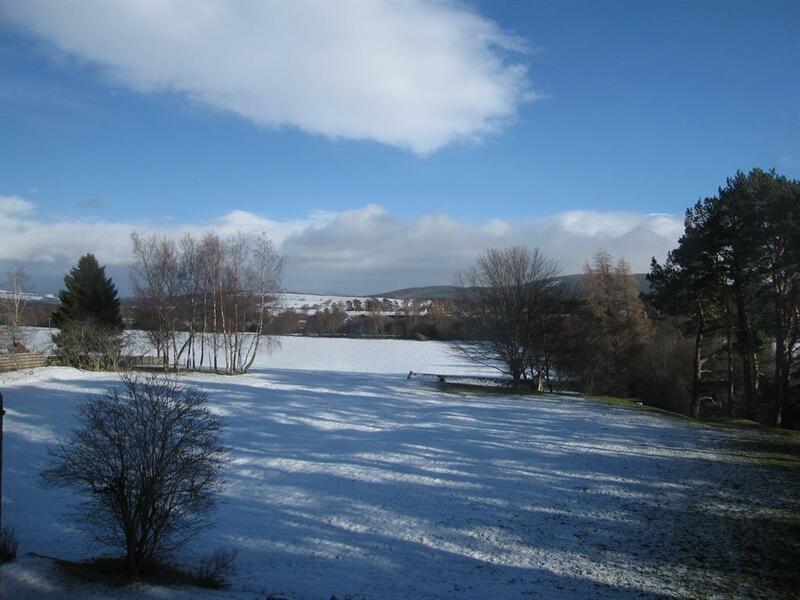 Large room with lovely views over the grounds and hills with mountains in background. 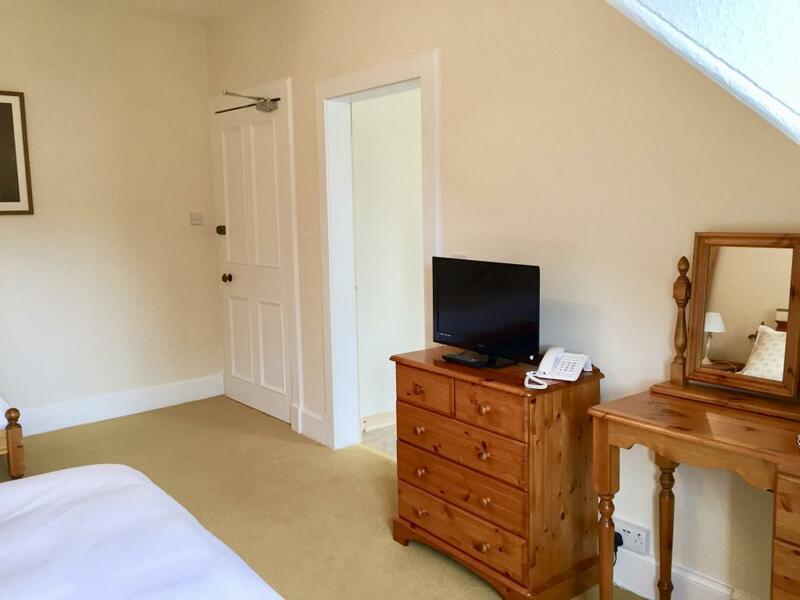 There is tea / coffee making facilities, flat screen TV, hairdryer & WiFi. 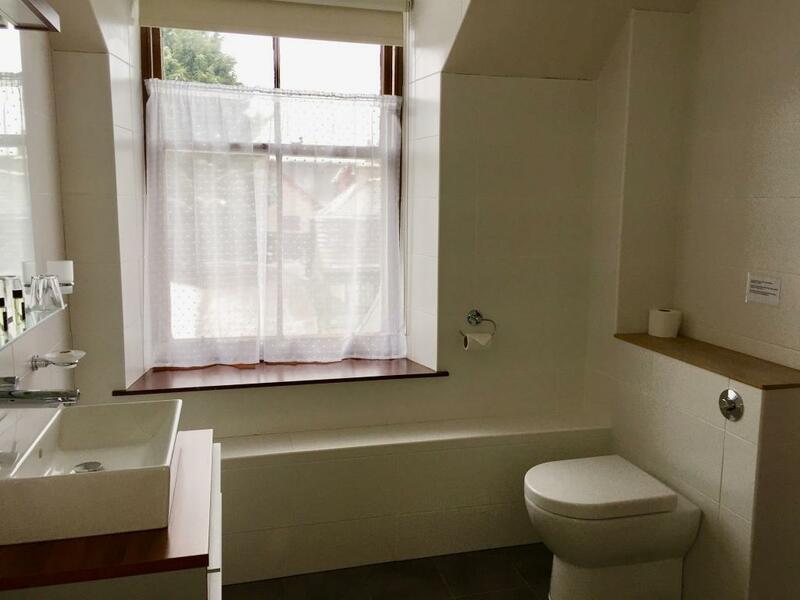 This room is on the first floor. 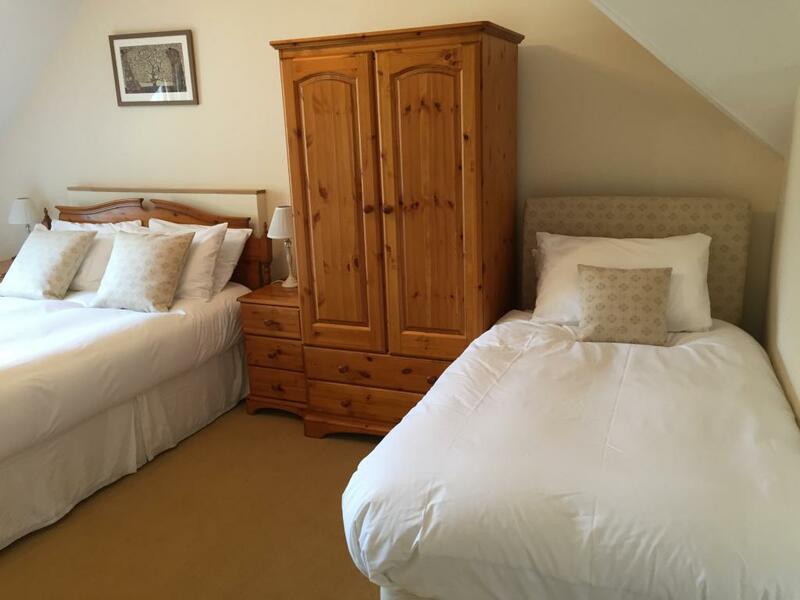 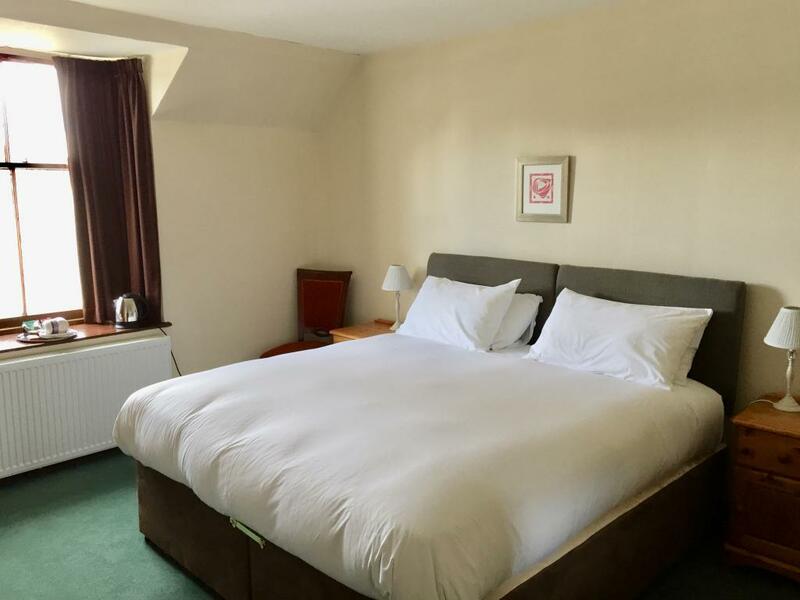 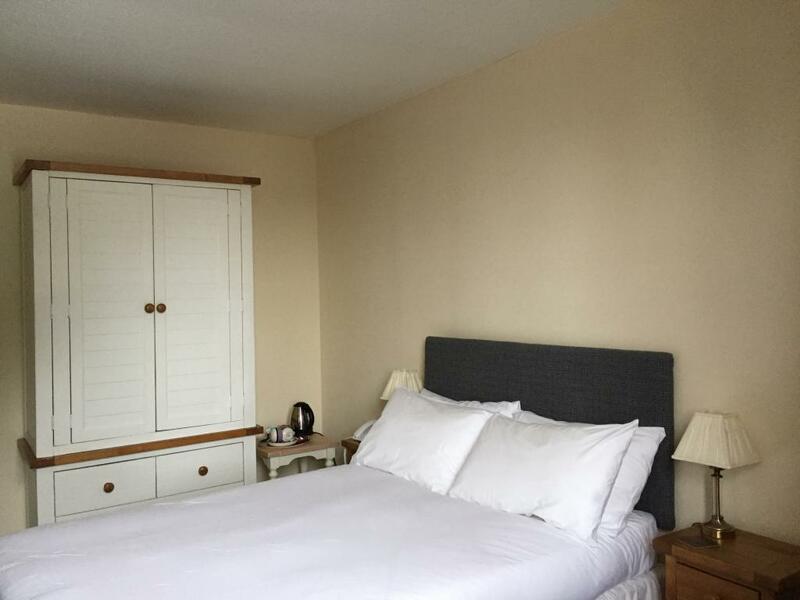 There is a standard Double bed (4ft 6") and a single bed to accommodate a third person. 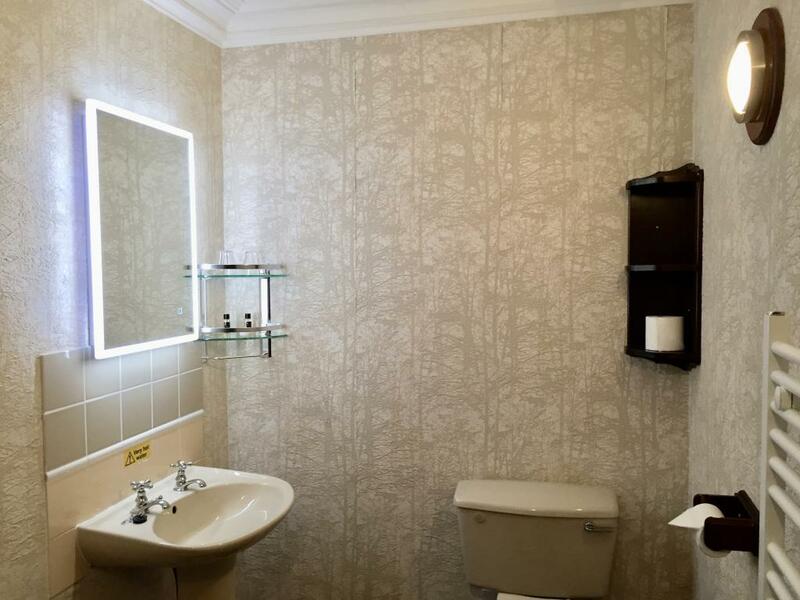 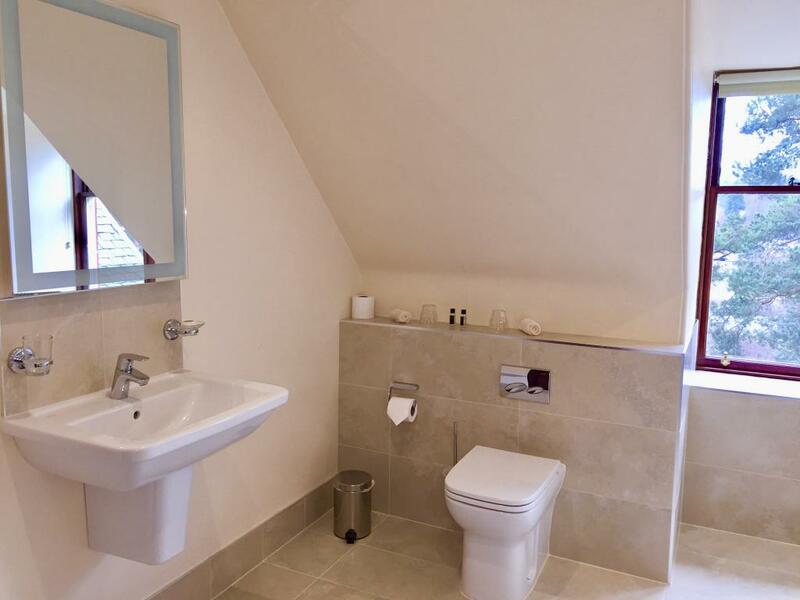 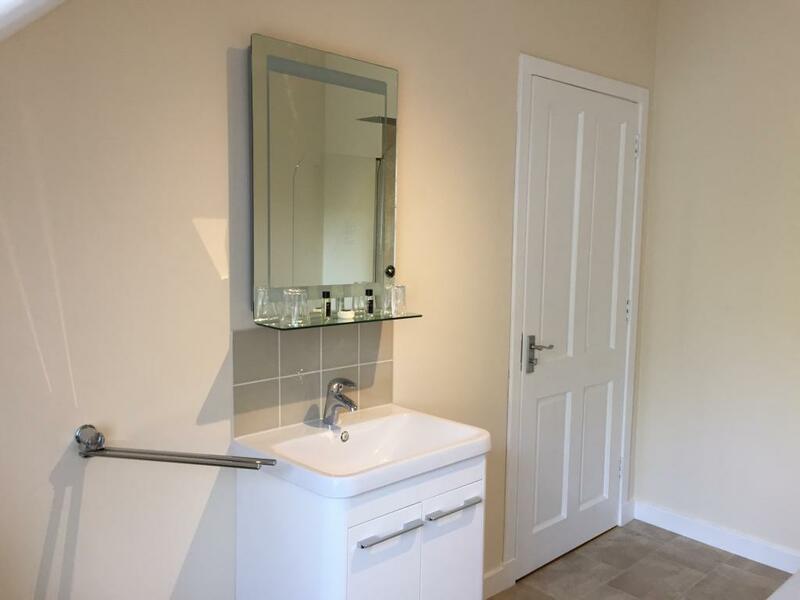 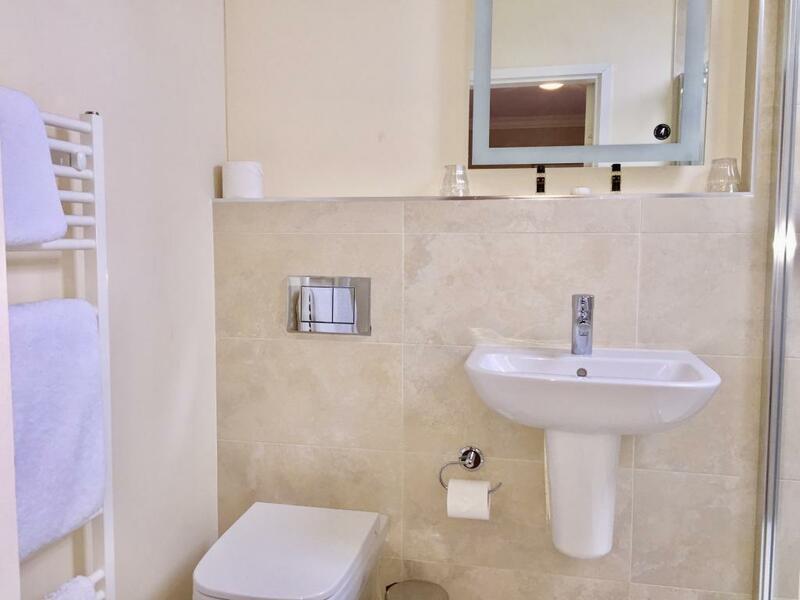 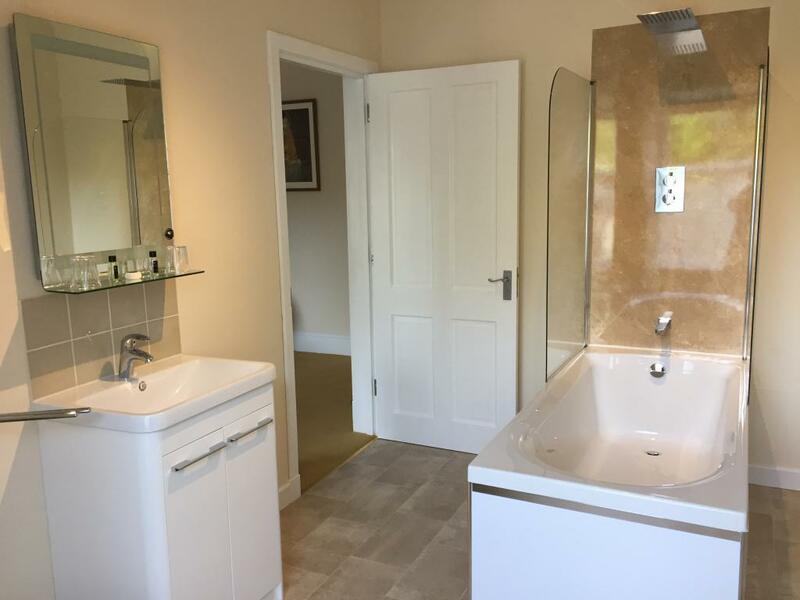 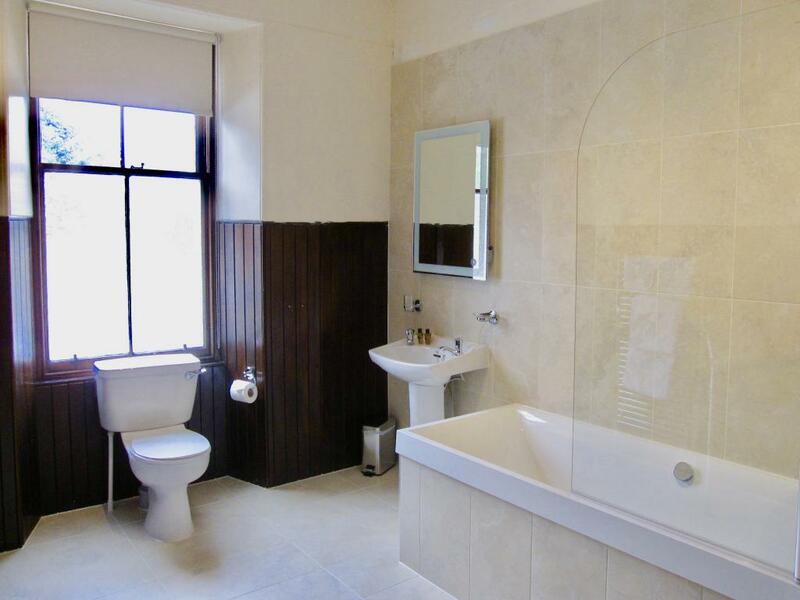 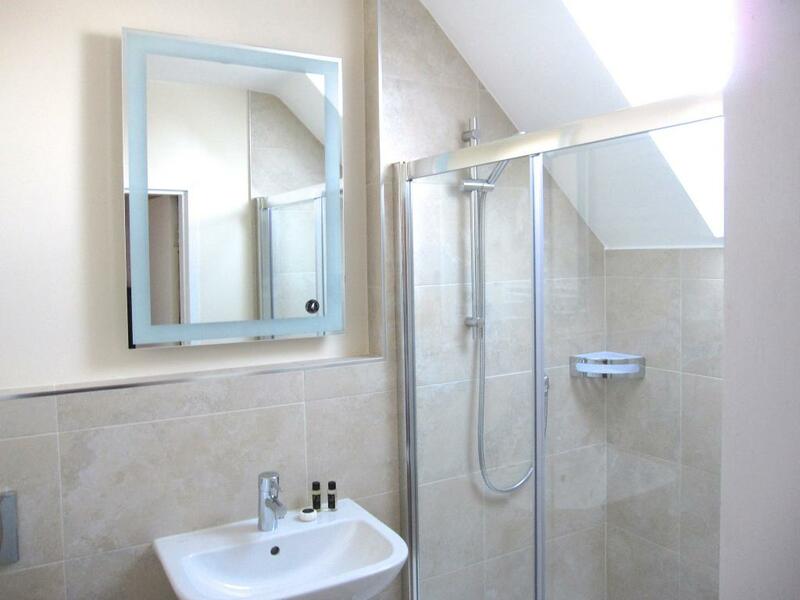 There is a very large private bathroom across the corridor which has been refurbished and has a bath with shower above. 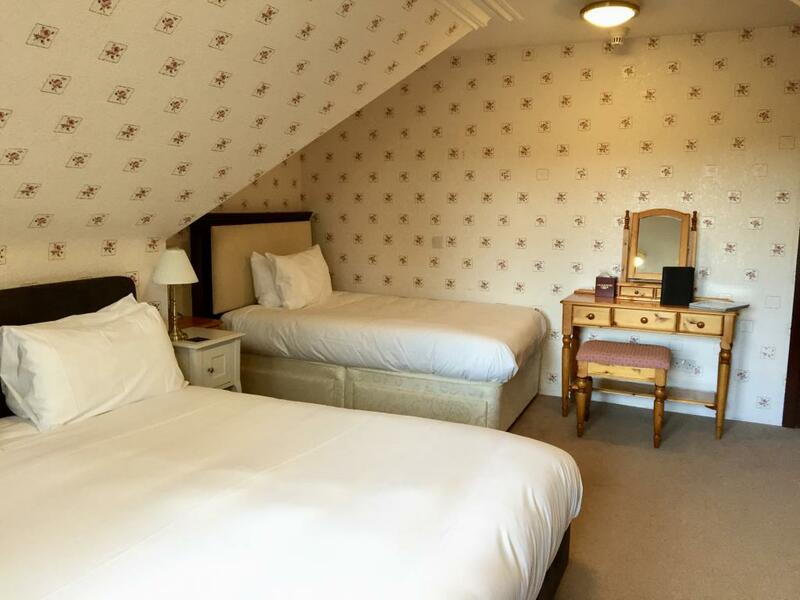 The price quoted is for two people and there is an additional charge for a third person. 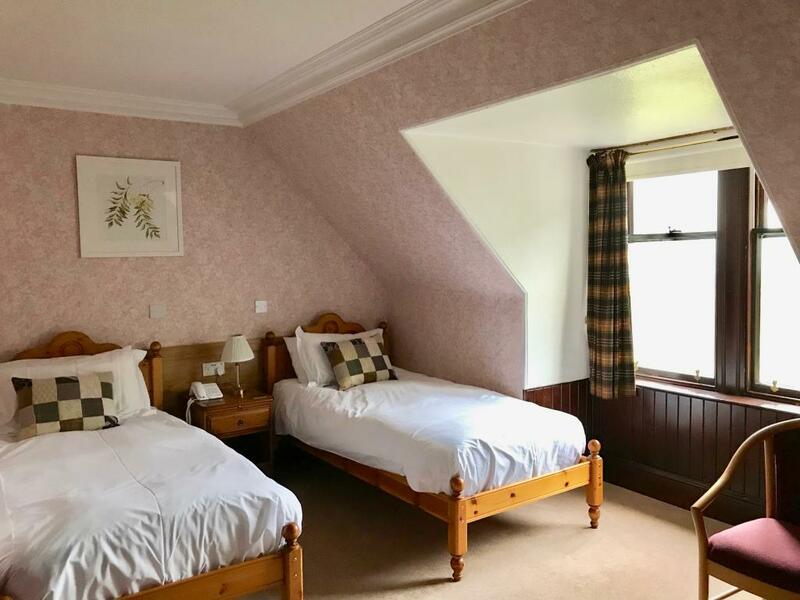 CALL DIRECT FOR BEST PRICES - 01479 841252 NOTE: Maximum 3 people - NO CHILDREN UNDER 8 UNLESS SPECIFICALLY AGREED PRIOR TO ARRIVAL. Dogs are permitted in this room. 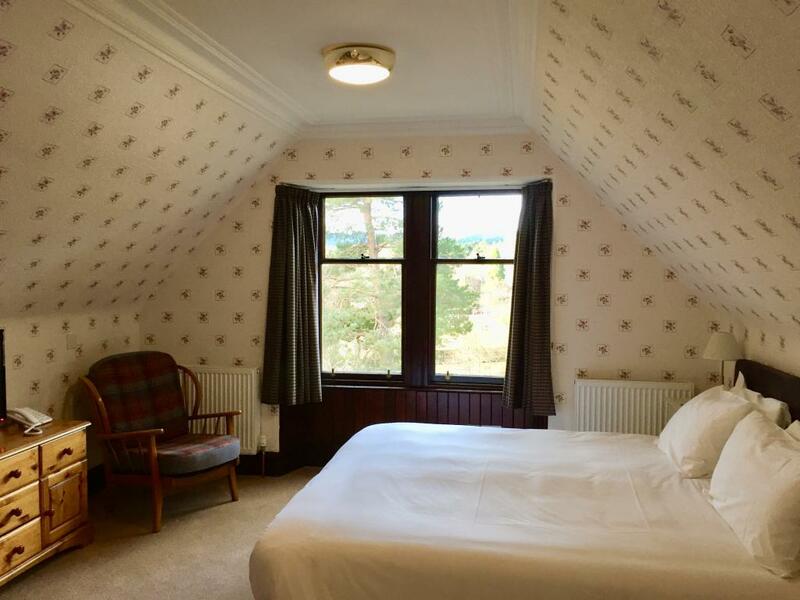 This bright room has lovely views over the gardens to the hills and mountains beyond on one side and the River Dulnain on the other. 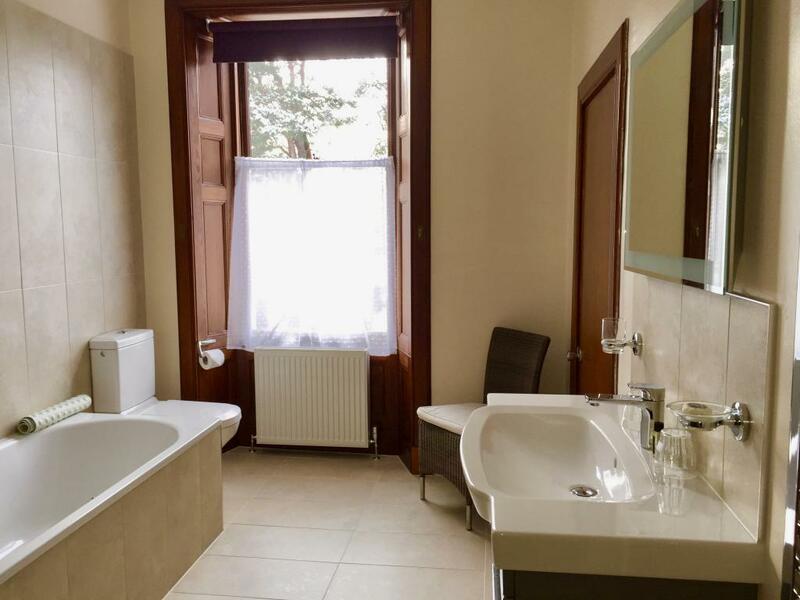 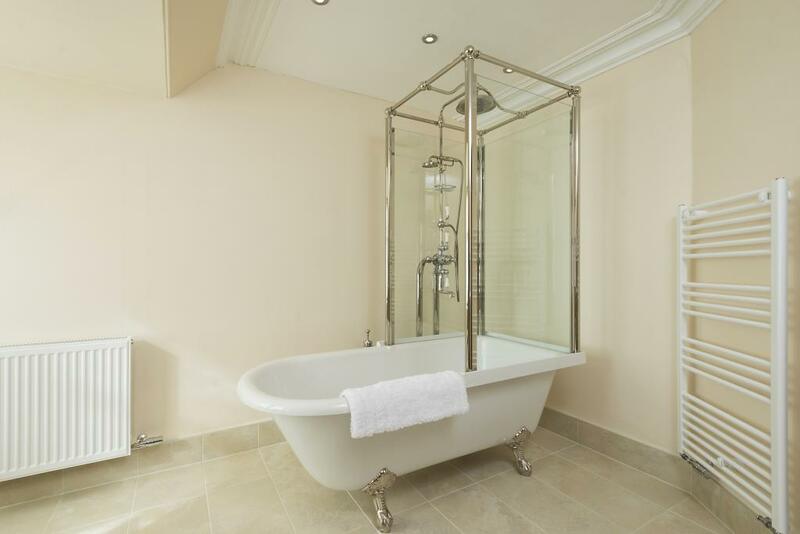 It has a hand made Savoir Super King size bed and an new extended en-suite bathroom (February 2016) with a stunning standalone Victorian style bath with shower enclosure. 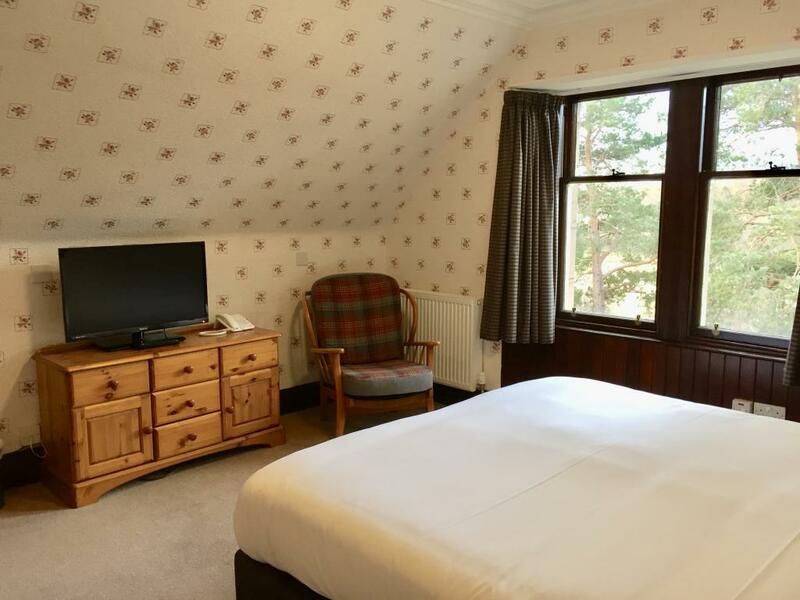 There are tea / coffee making facilities, flat screen TV, hairdryer & WiFi. 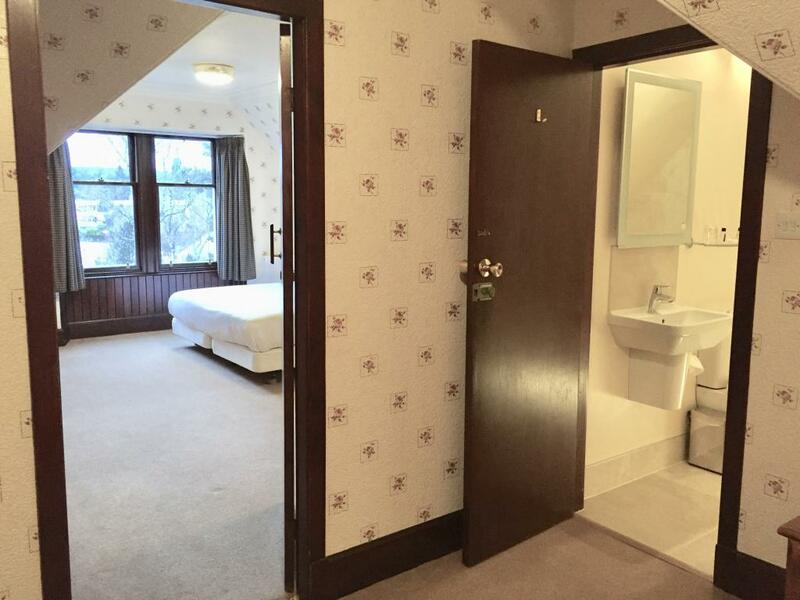 This room is on the second floor. 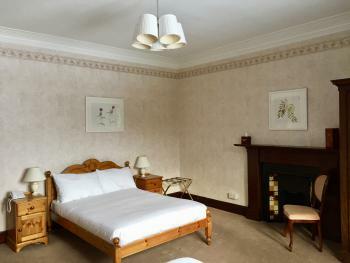 CALL DIRECT FOR BEST PRICES - 01479 841252 No children in this room. 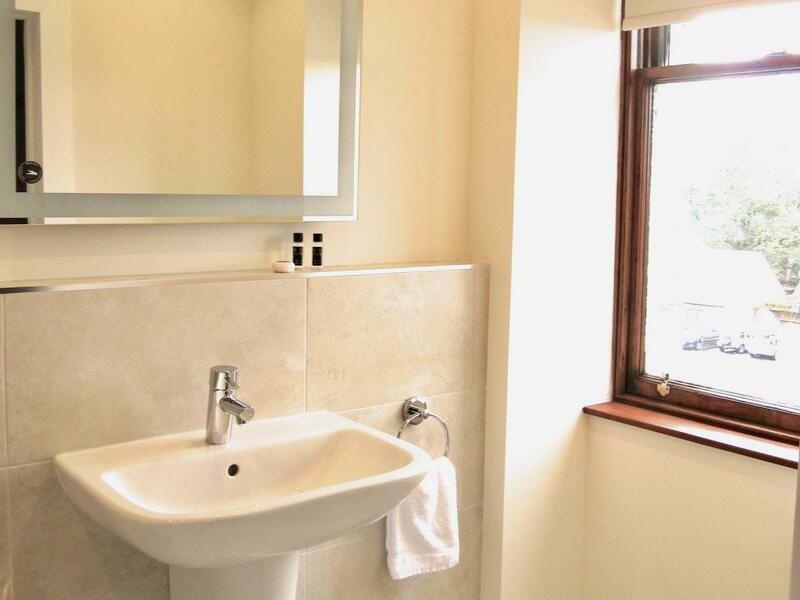 Dogs are not permitted in this room. 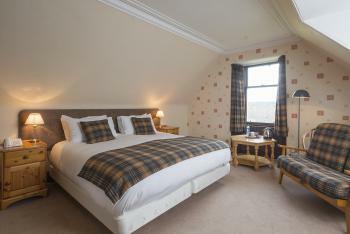 A lovely bright room displaying magnificent views over the grounds to the mountains beyond. 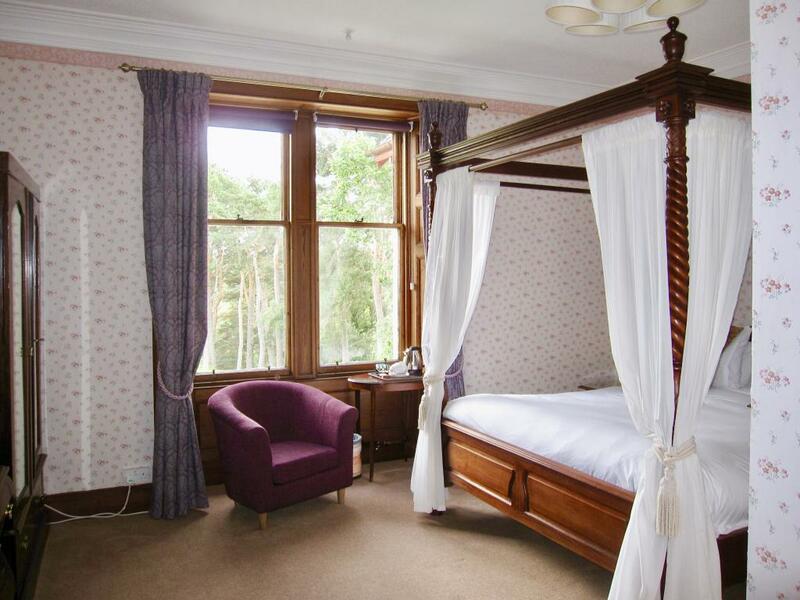 There is a 6ft Super King size Four Poster bed. The room has a flat screen TV, tea and coffee making facilities, hair dryer, trouser press and complimentary WiFi. 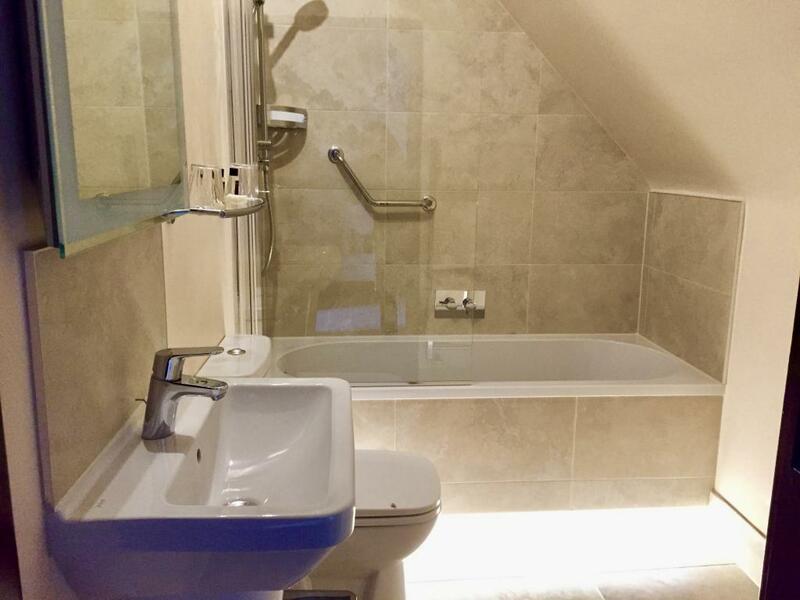 The en-suite bathroom has a bath with shower above. This room is located on the first floor. CALL DIRECT FOR BEST PRICES - 01479 841252 No children in this room. 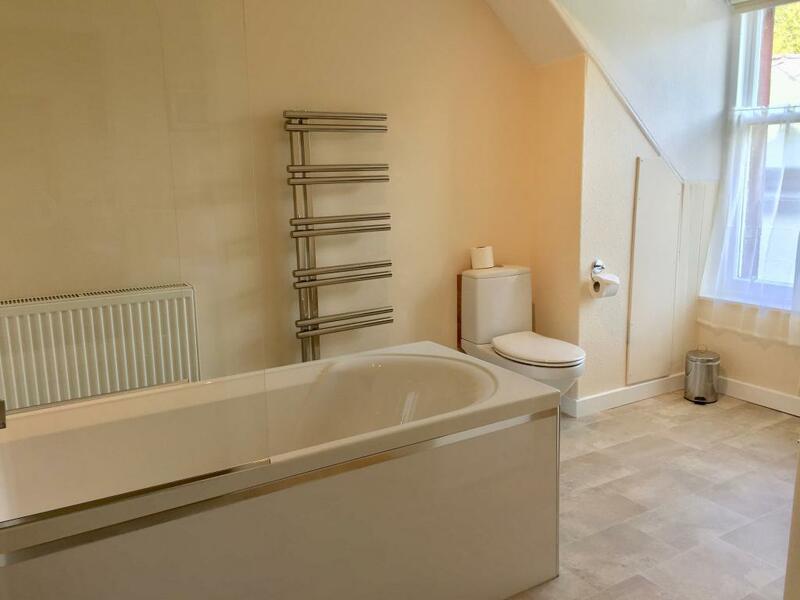 Dogs are not permitted in this room. 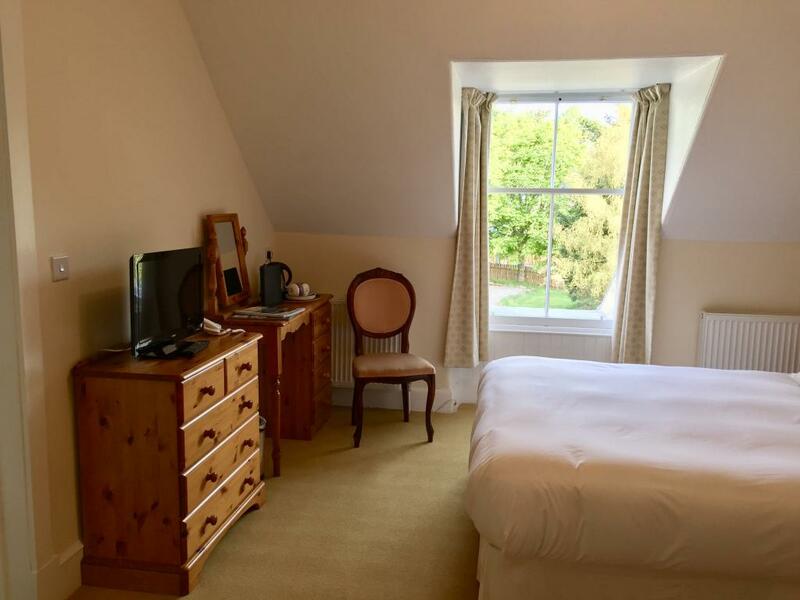 This s a lovely bright room with views over the grounds to the river and mountains beyond. 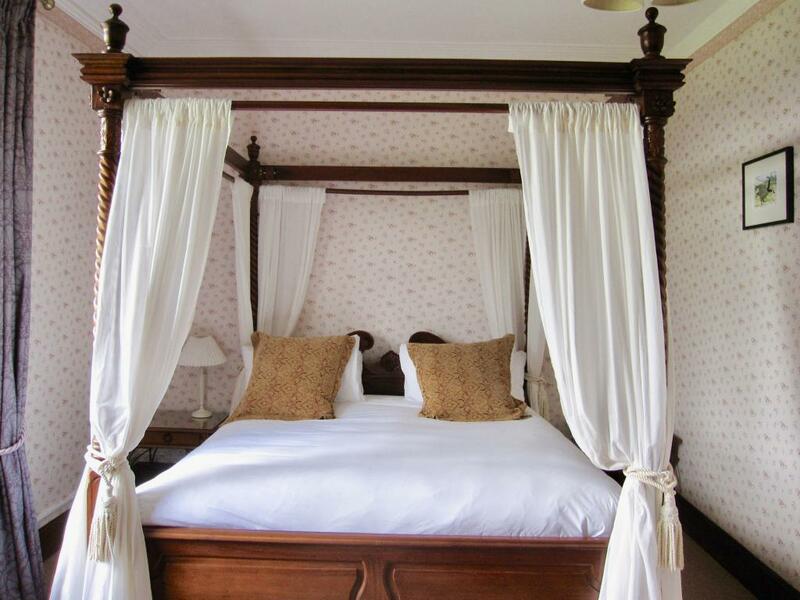 There is a 5ft Savoir handmade bed. 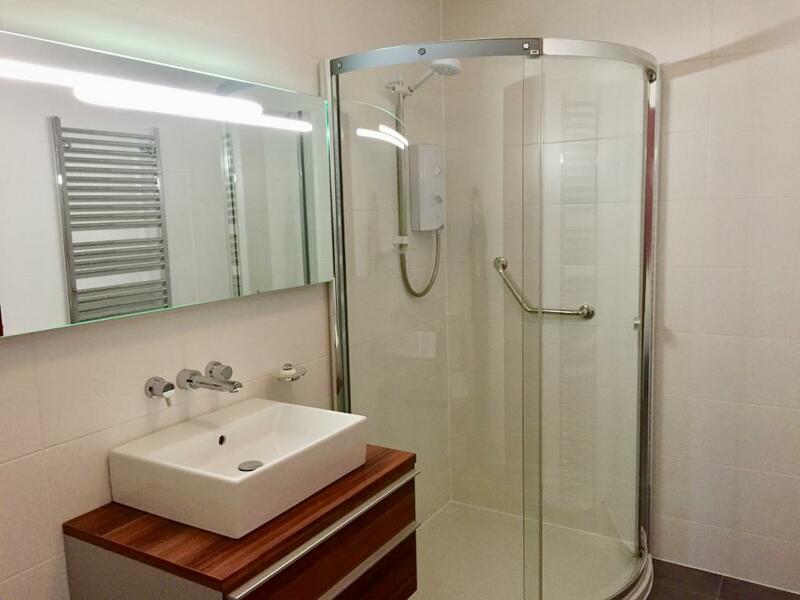 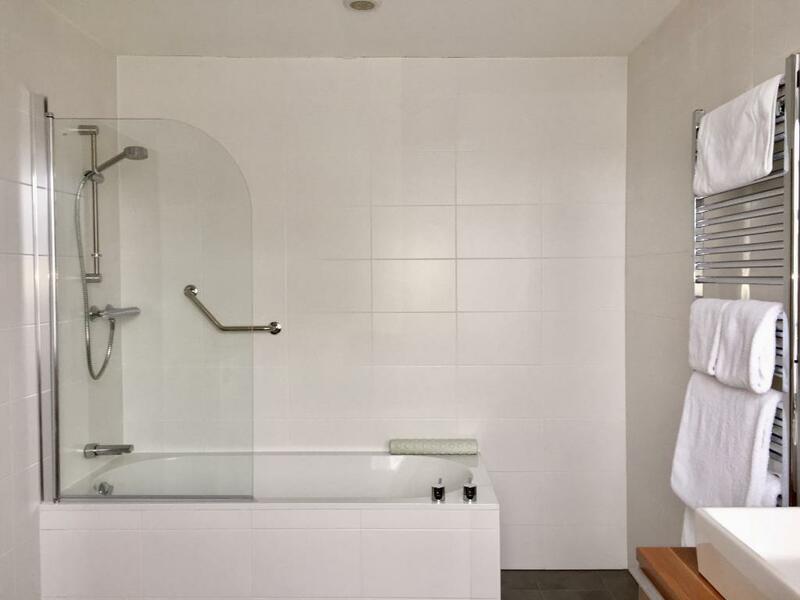 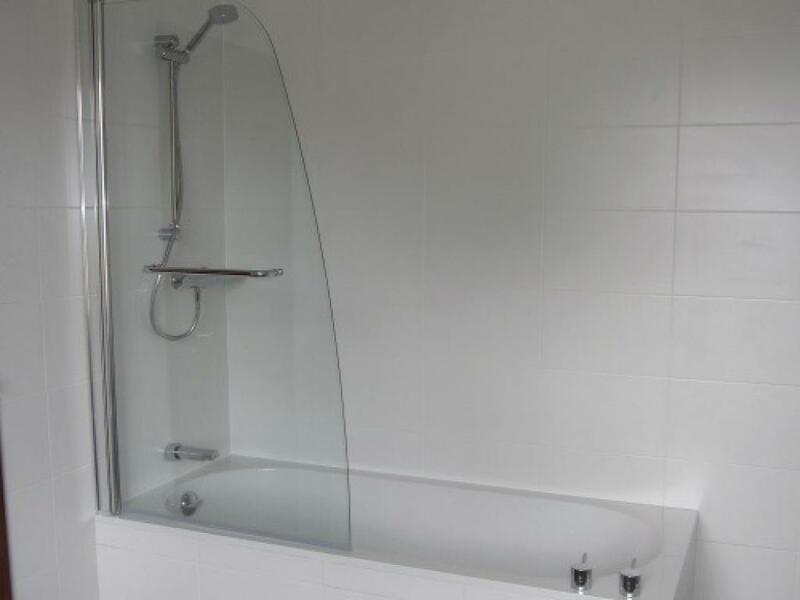 The bright modern en-suite bathroom has a large walk-in shower. 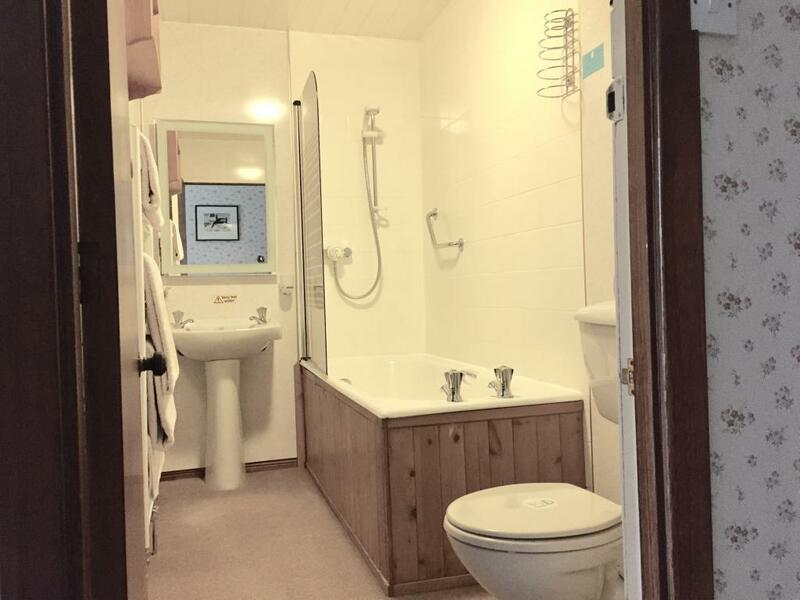 There are tea / coffee making facilities, flat screen TV, hairdryer & WiFi. 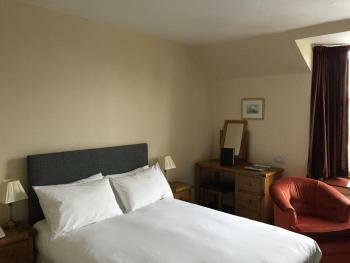 This room is located on the second floor. 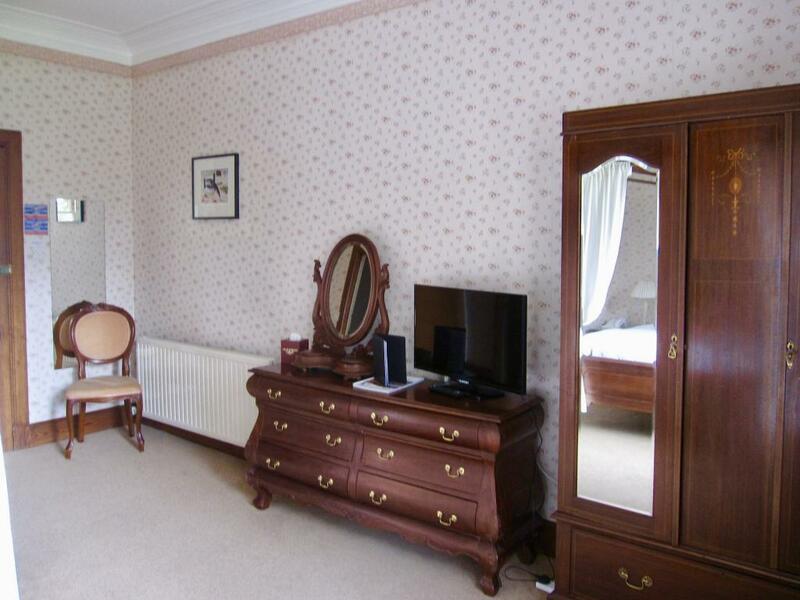 Dogs are not permitted in this room. 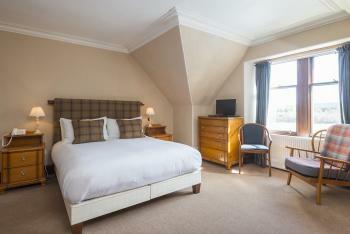 CALL DIRECT FOR BEST PRICES - 01479 841252 PLEASE NOTE: NO CHILDREN IN THIS ROOM.